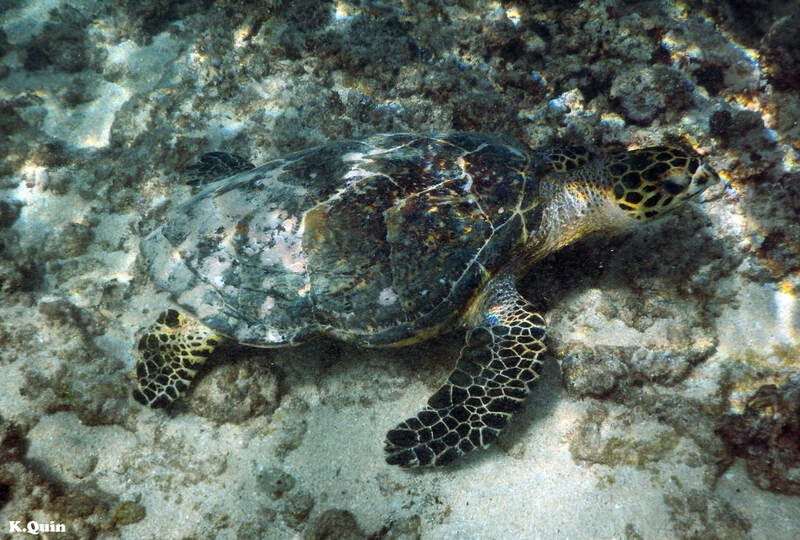 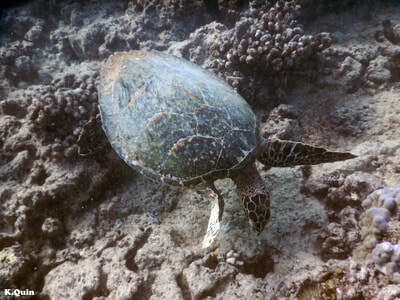 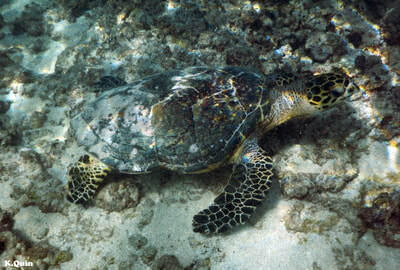 "Explorer" is a juvenile hawksbill that was photographed by Robert Whitton in 1999. 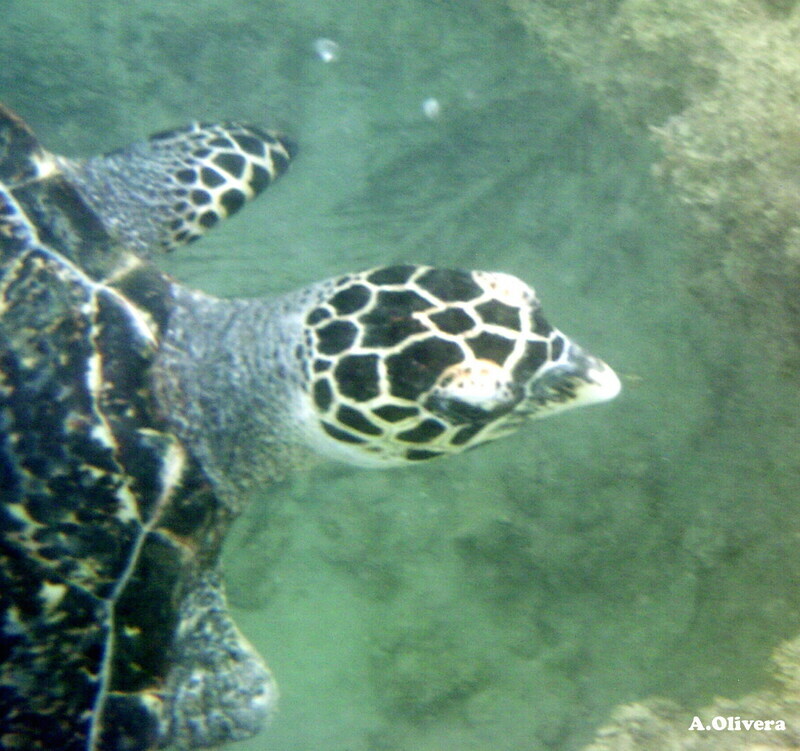 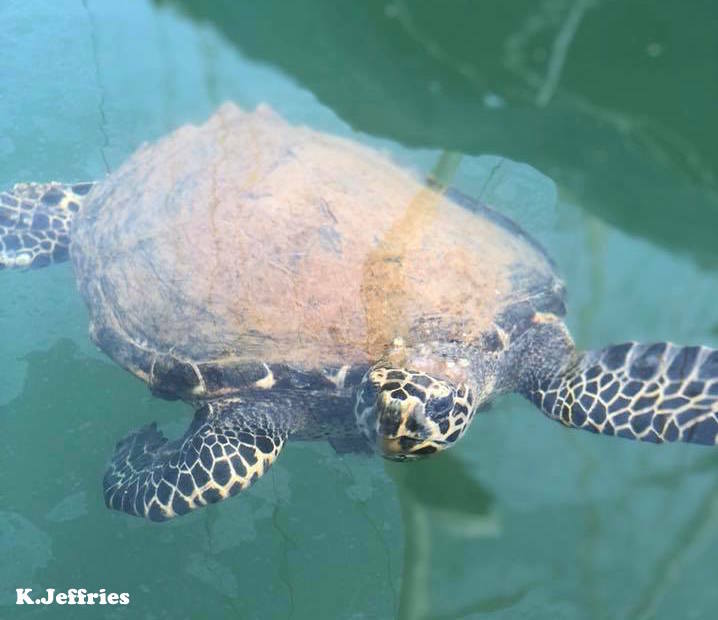 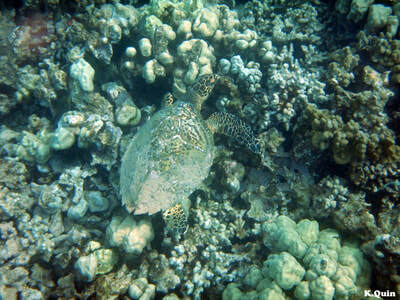 "Jeff" is a juvenile hawksbill that was photographed by Jeff Milisen twice in 2008. 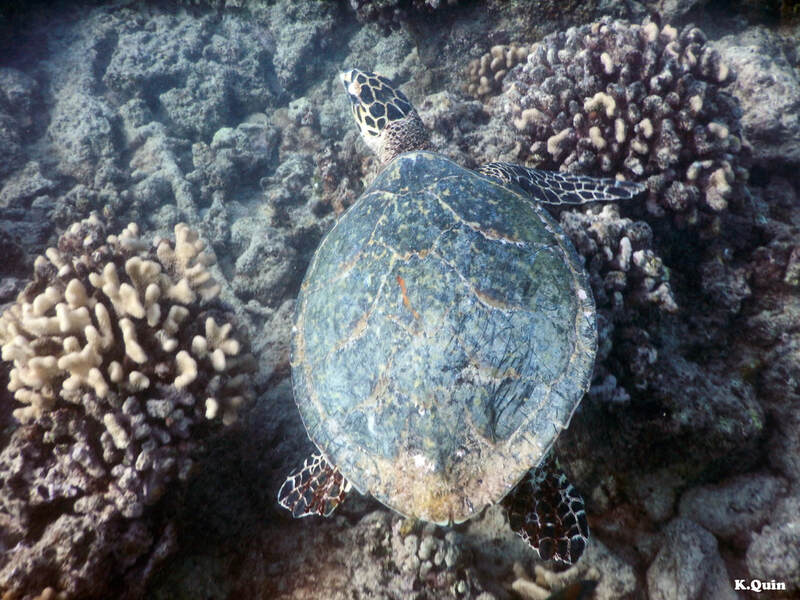 "Paw" is a juvenile hawksbill that was photographed by Jeff Milisen in 2009. 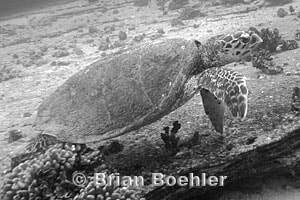 "HiKai" is a juvenile hawksbill that was photographed by Brian Boehler in 2010. 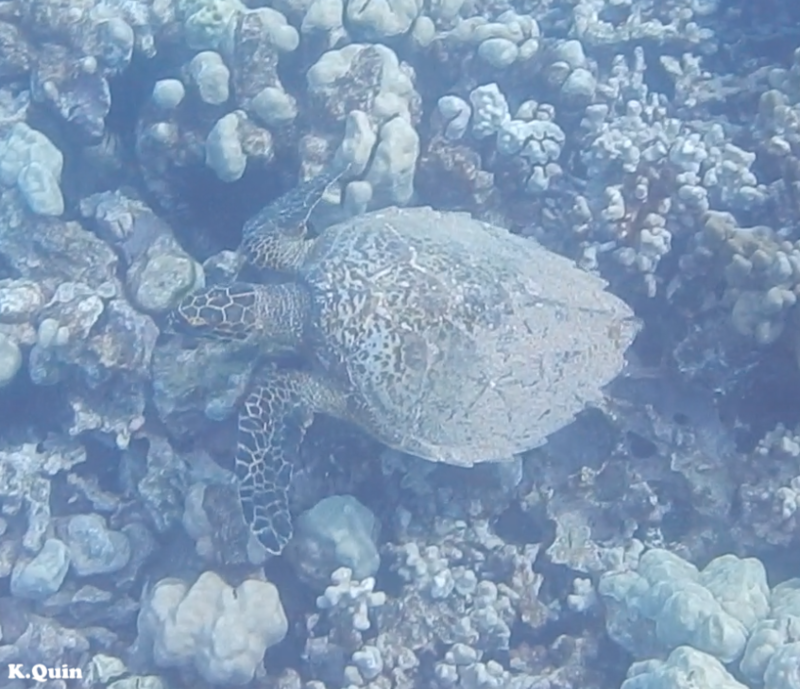 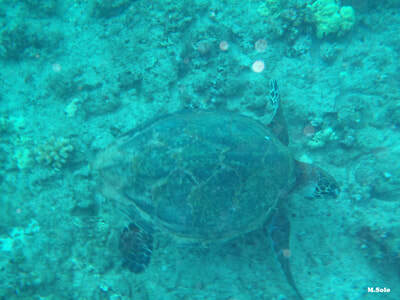 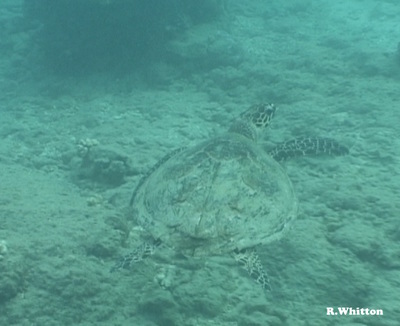 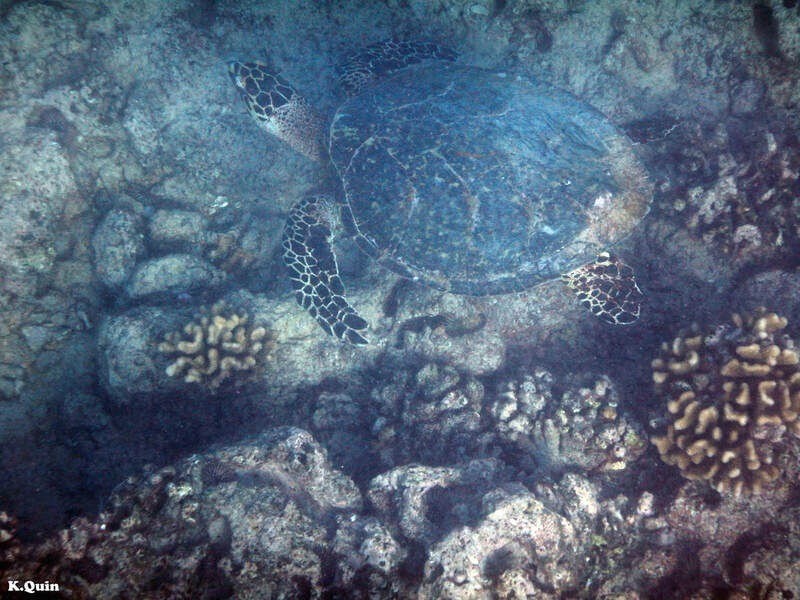 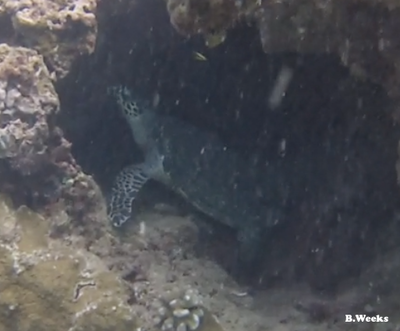 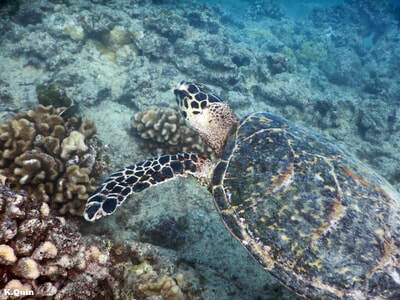 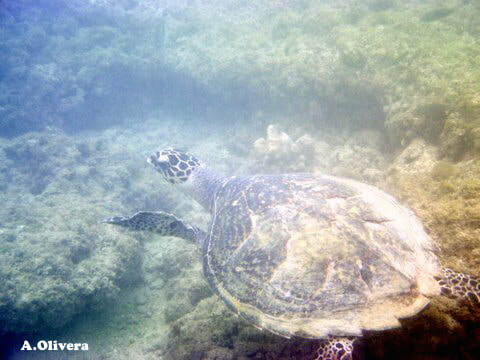 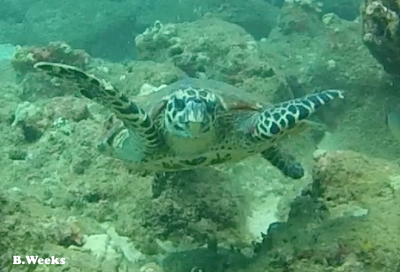 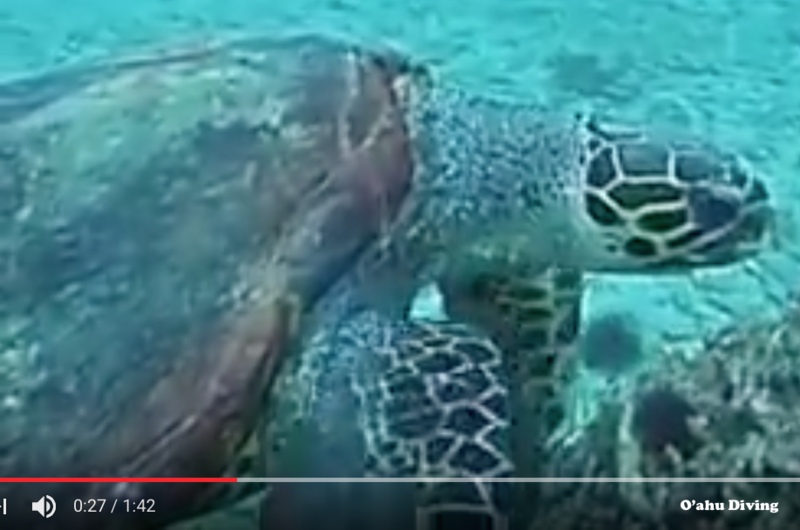 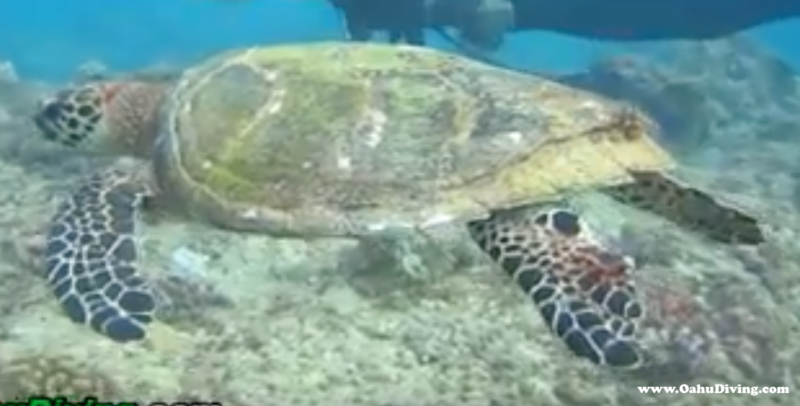 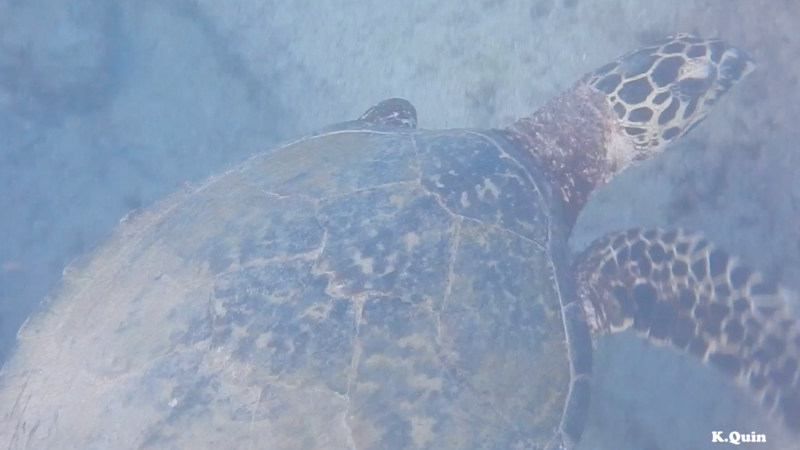 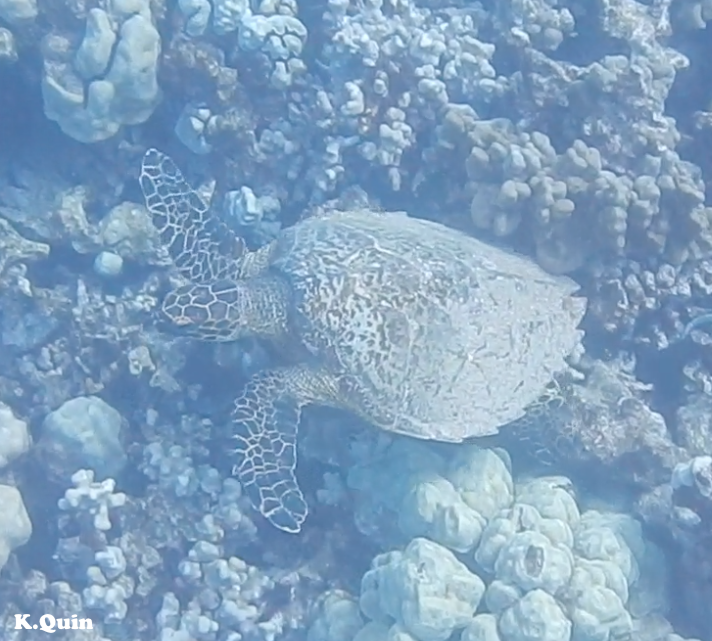 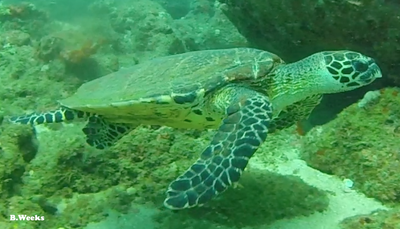 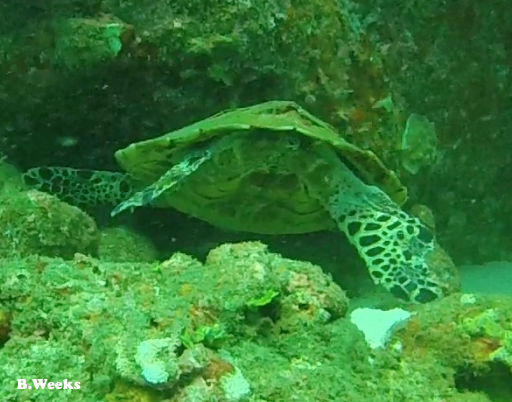 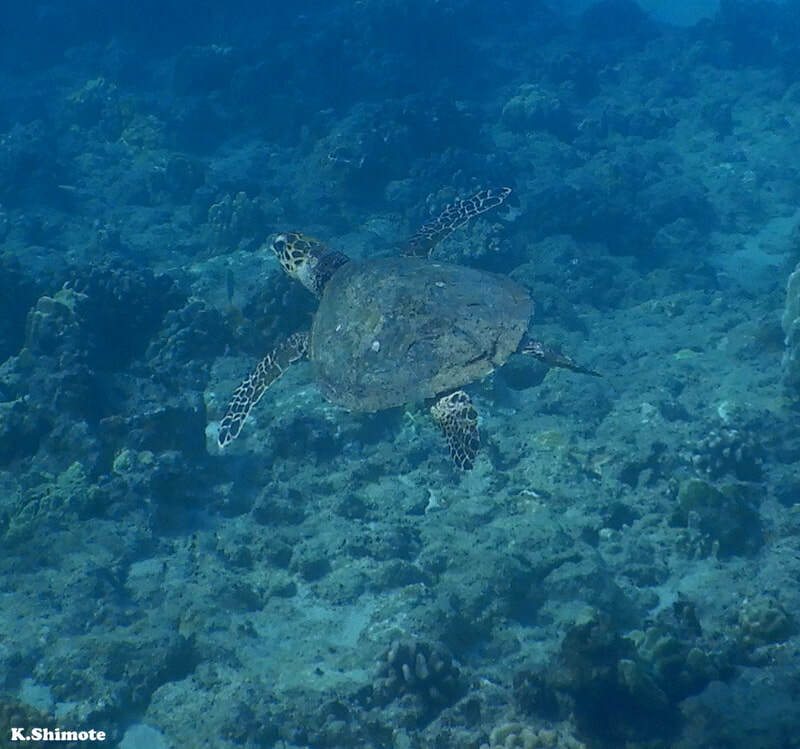 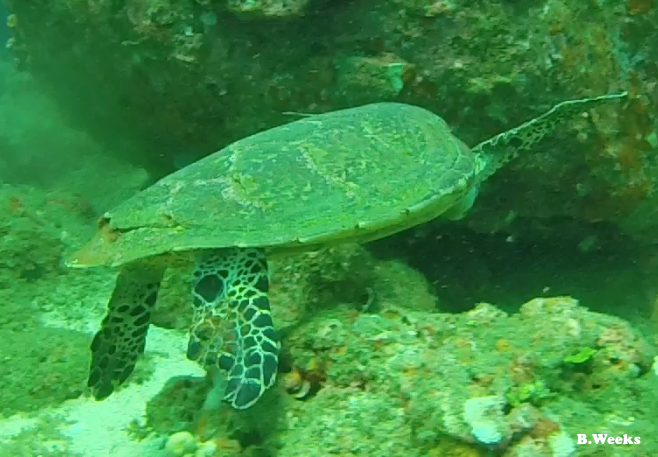 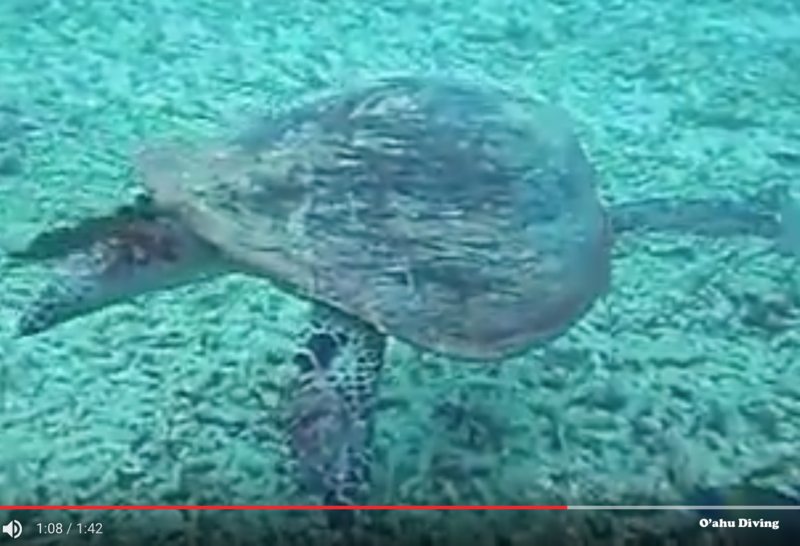 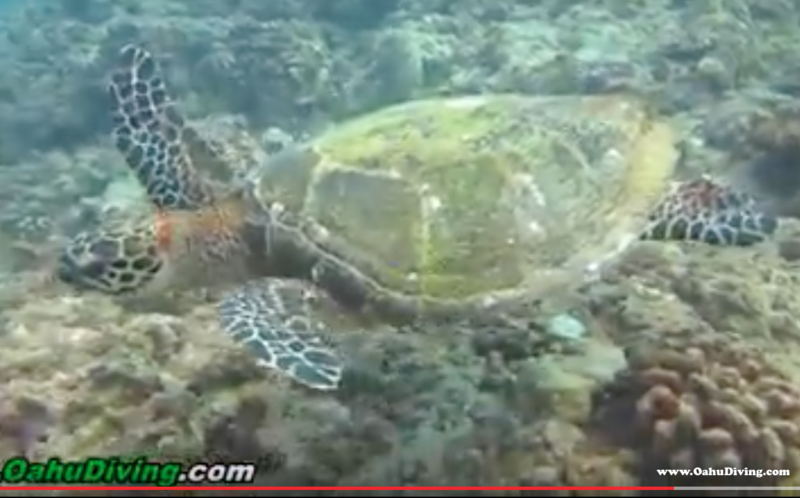 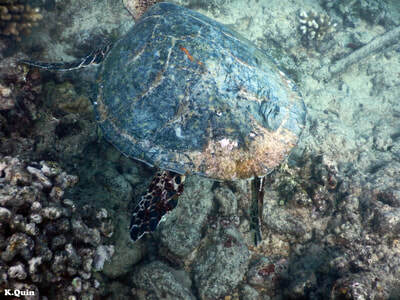 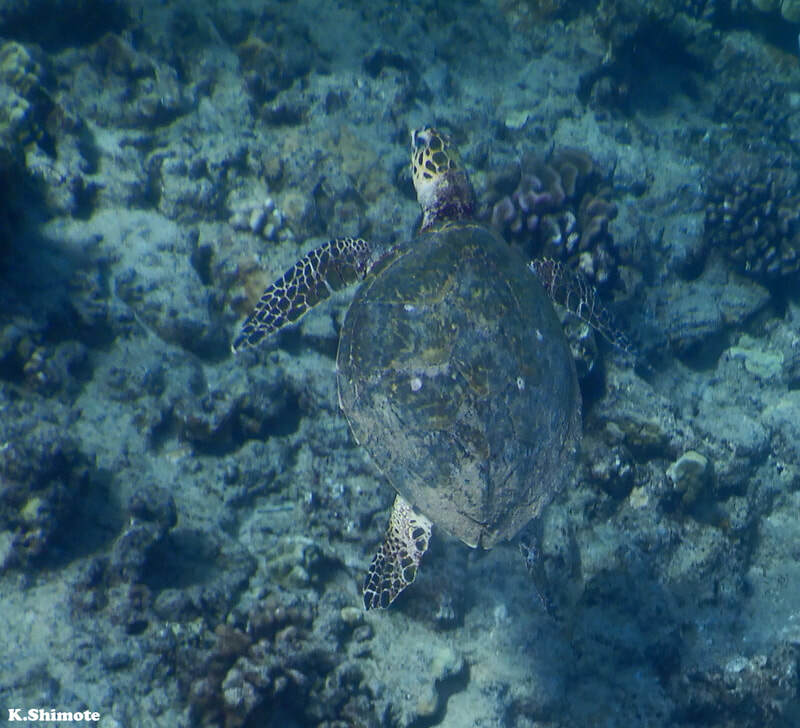 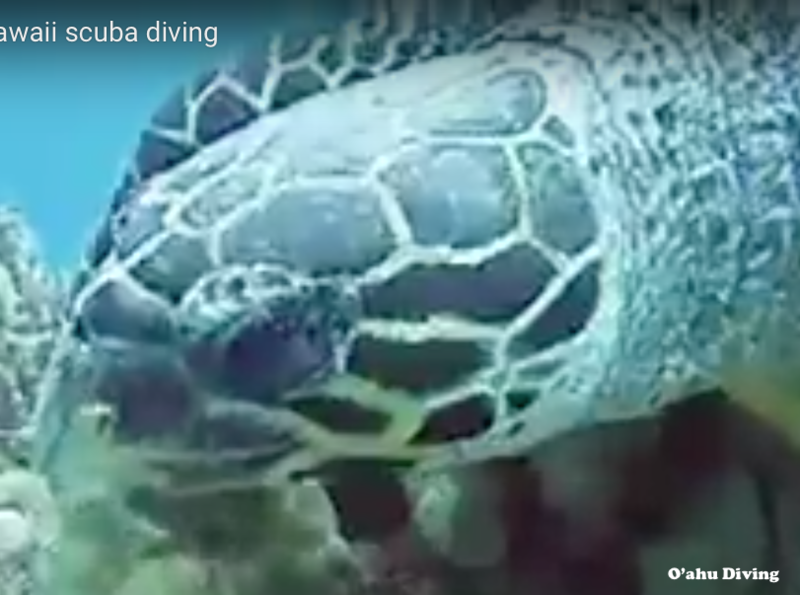 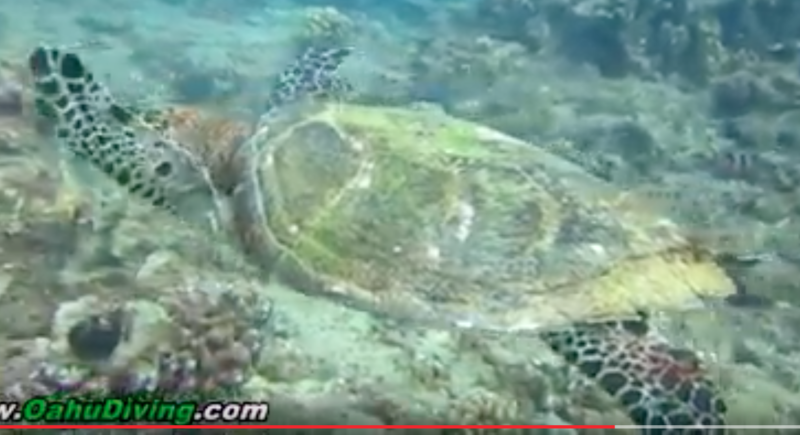 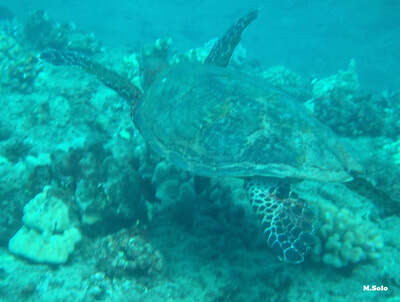 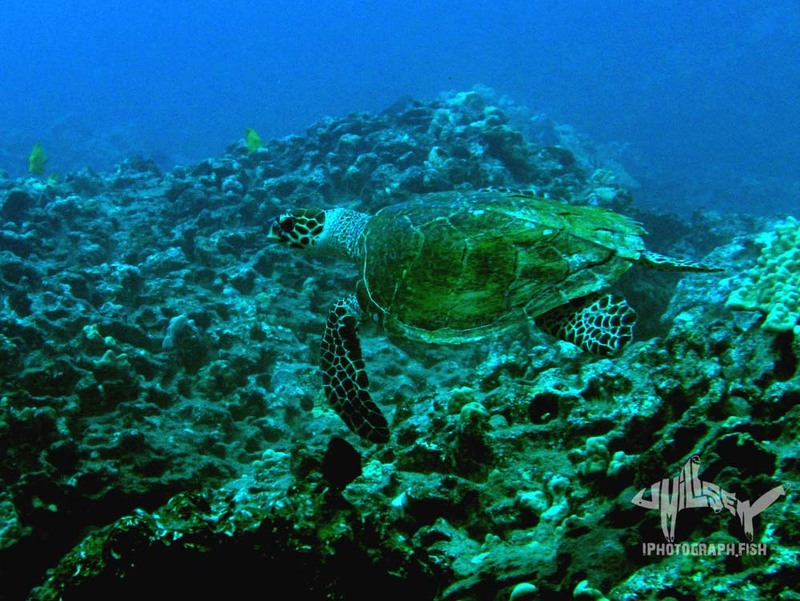 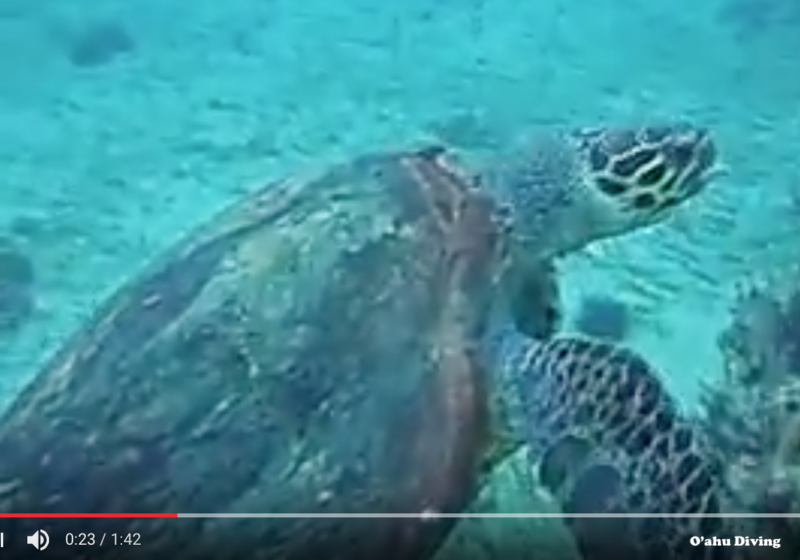 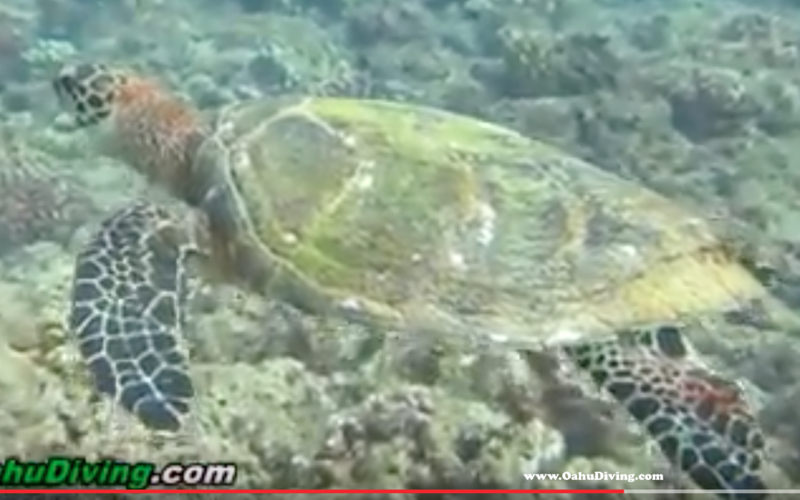 "Carina" is a juvenile hawksbill that was filmed by O'ahu Diving in 2011. 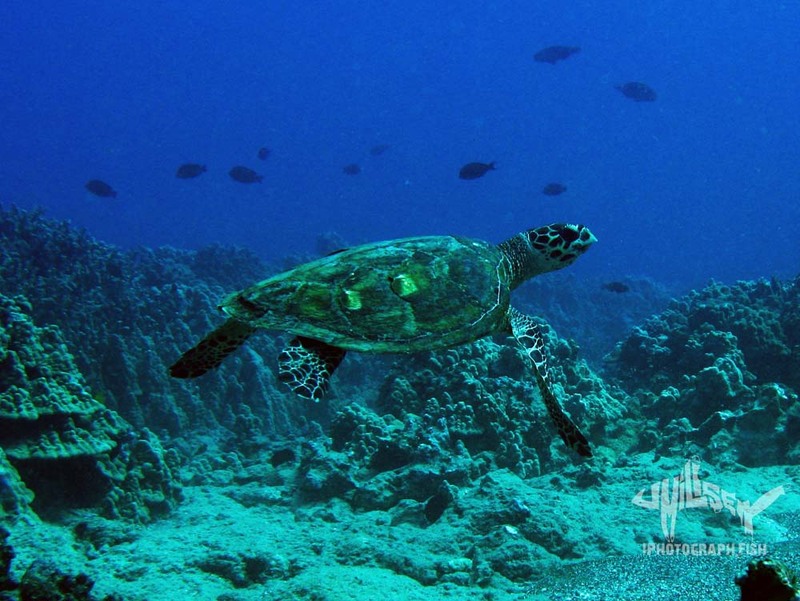 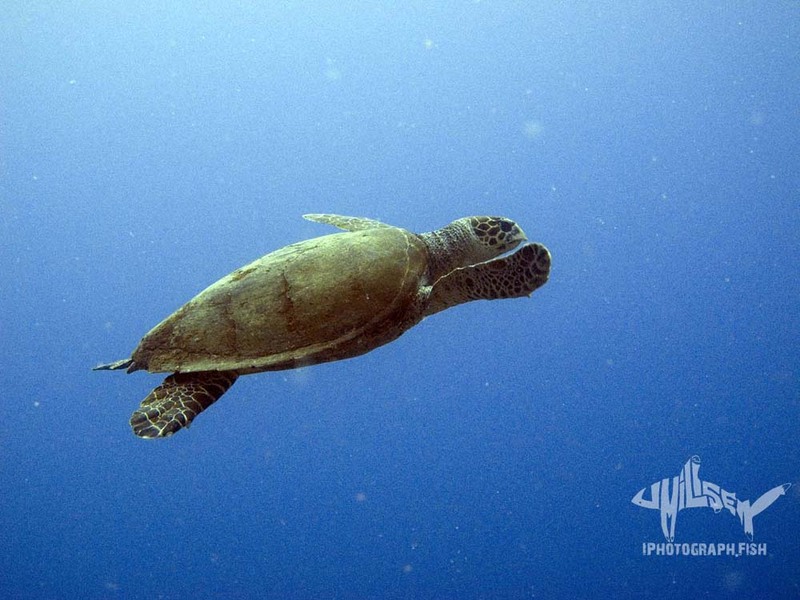 "Lift" is a juvenile hawksbill that was photographed by Jeff Milisen in 2011. 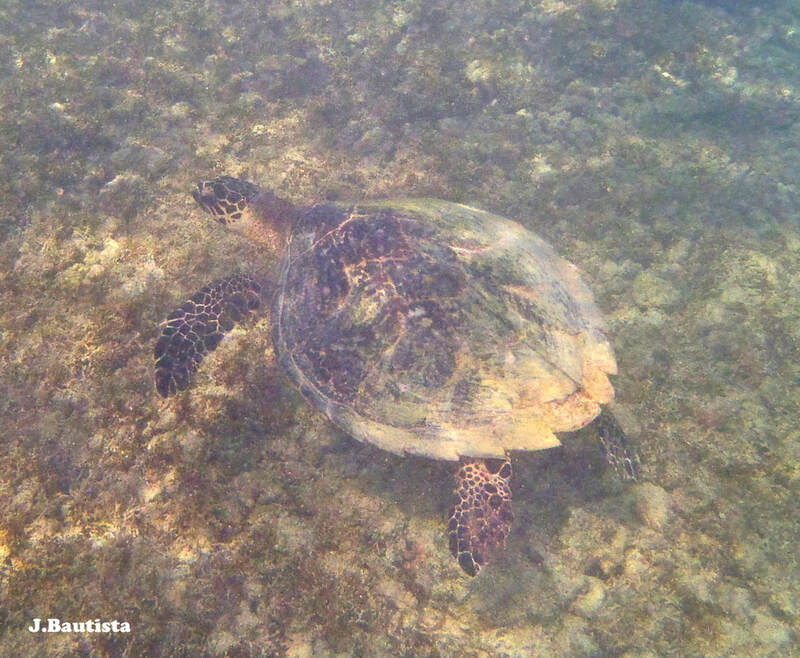 "Tripod" is a juvenile hawksbill that has lost its right front flipper (unknown cause, but possibly fishing line/net entanglement) that has been photographed by Andrea Olivera and J. Bautista in 2011 and 2012. 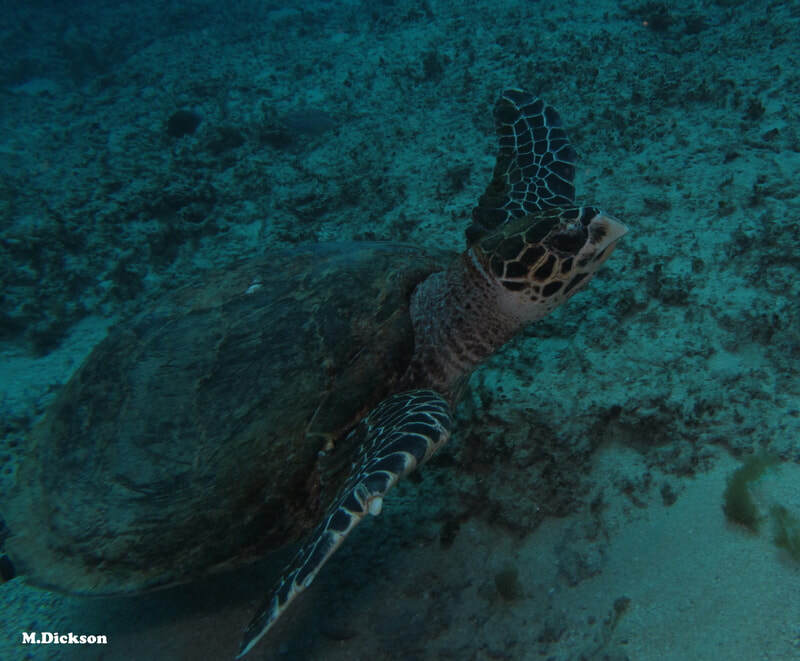 "Eddie" is a juvenile hawksbill that was photographed by Jim Craig in 2013. 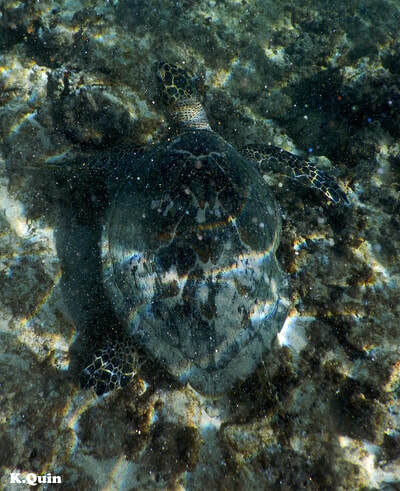 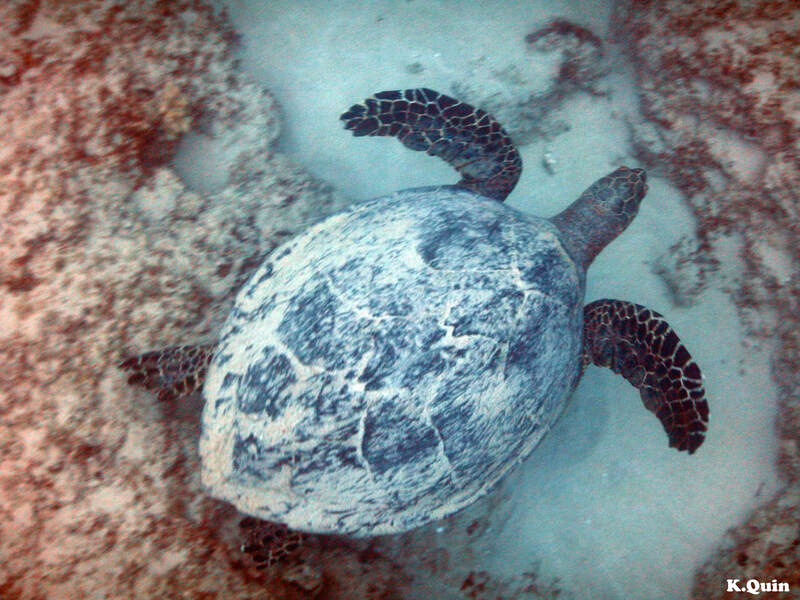 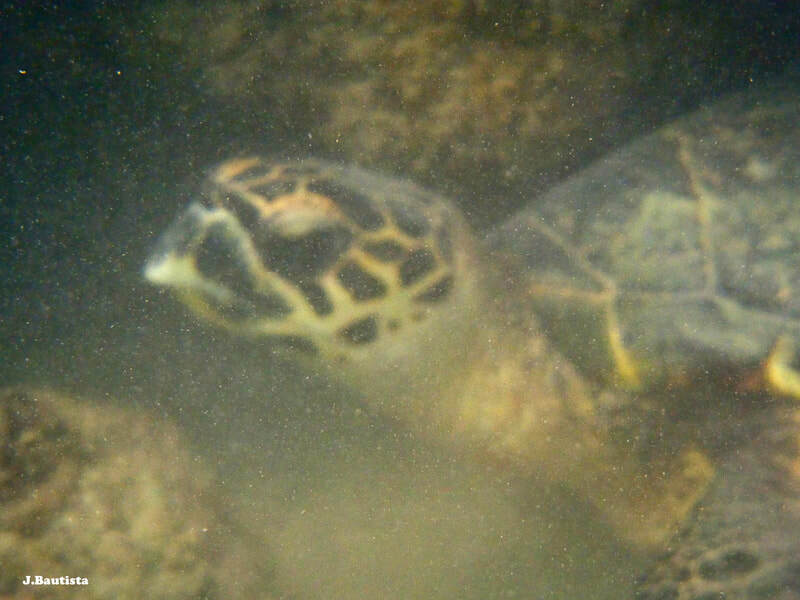 "Rancher" appears to be a juvenile hawksbill that was photographed by David Fleetham (2014?). 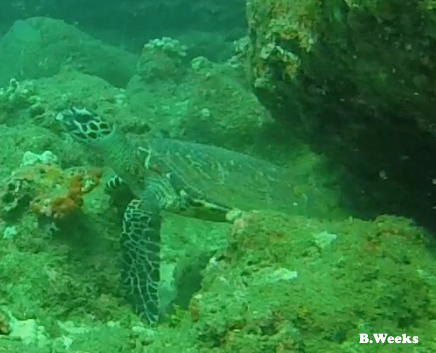 "Bert" is a juvenile that was filmed by Bert Weeks in 2014 and Kelly Quin in 2018. 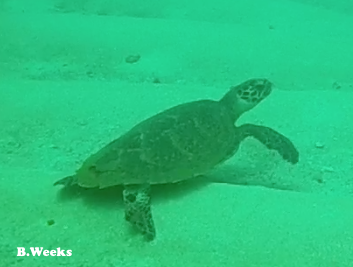 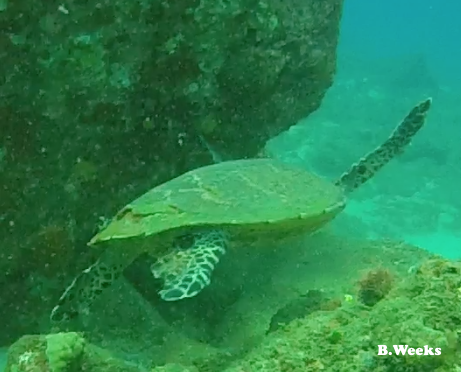 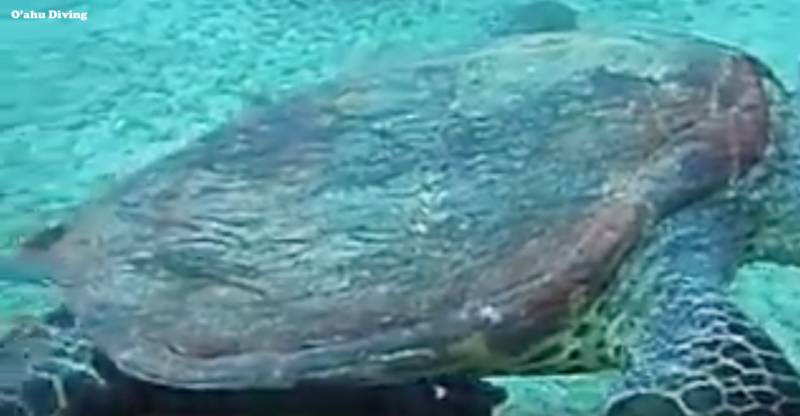 "Ernie" is a juvenile that was filmed by Bert Weeks in 2014. 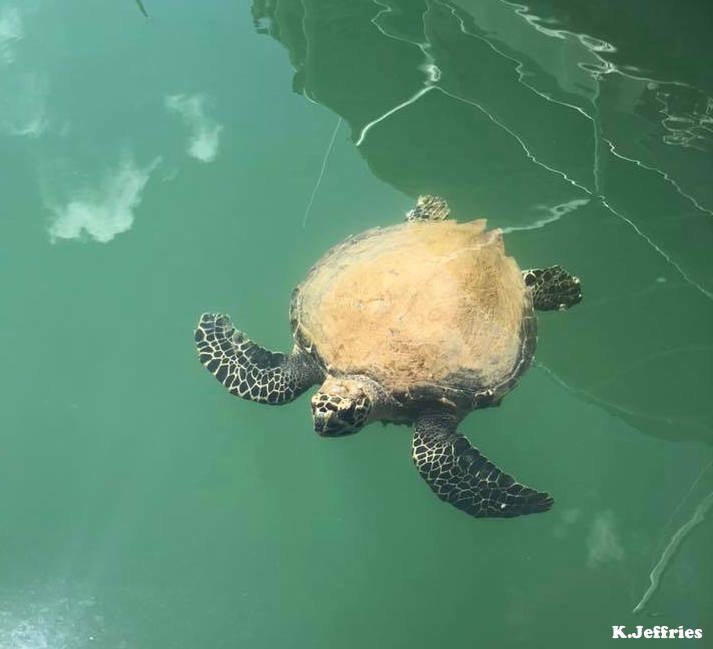 "MFC" is a juvenile that was photographed by "emmeffcee" in 2015 and Christine Pang, Christina Klemme, Kelly Quin, and Howard Thiele in 2018. 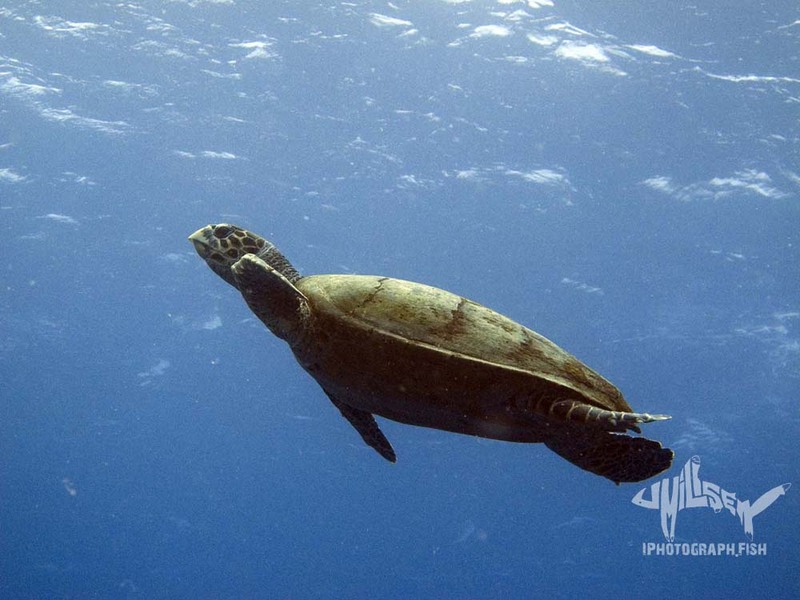 "Akela" is a juvenile that was photographed by Matt Solo in 2015. "Lizzy" is a juvenile hawksbill that was photographed by Elizabeth Sides in 2016. 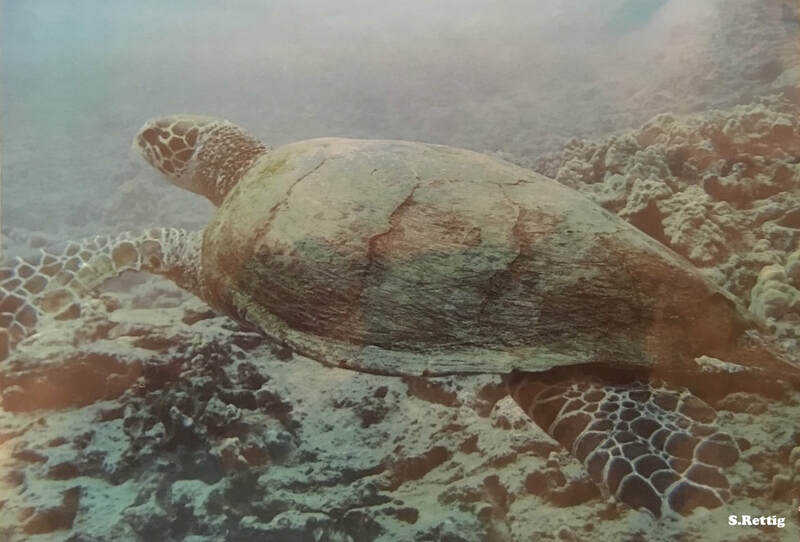 "Apikalia" (Abigail in Hawaiian) is a juvenile hawksbill that was photographed by Pat Goding (2017), Heather Schmidt (2017), Billy Towne (2018), Ryan Hailstones (2018), and Jeanine Palmieri (2018). 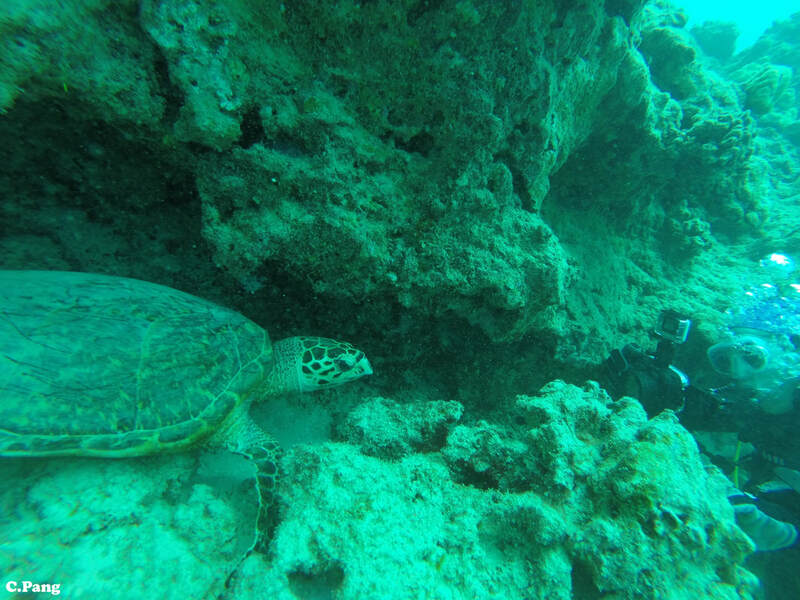 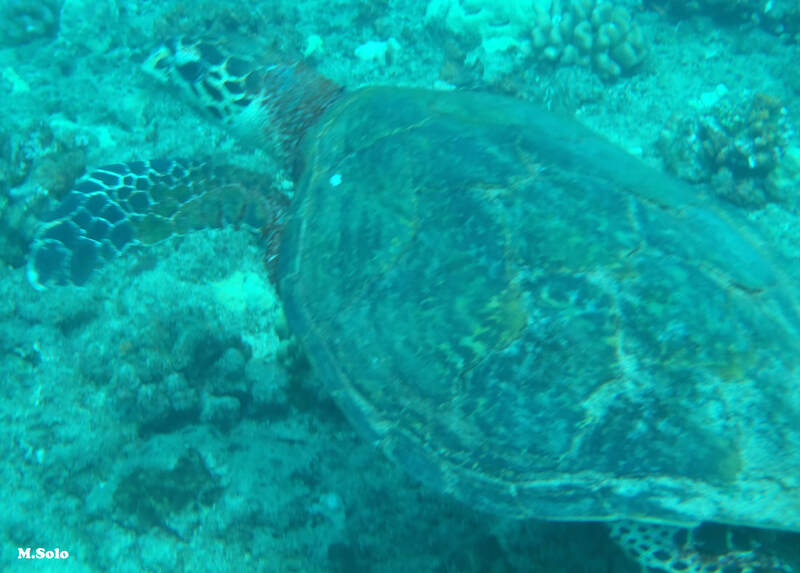 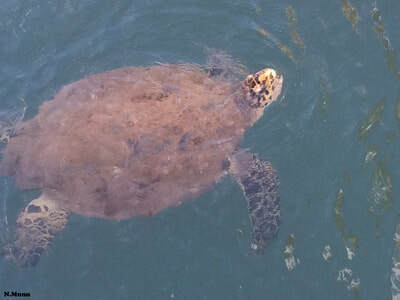 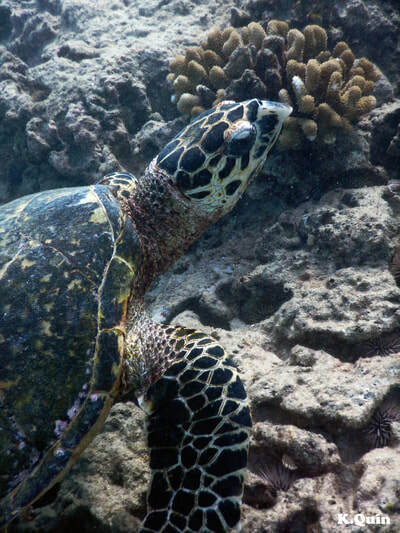 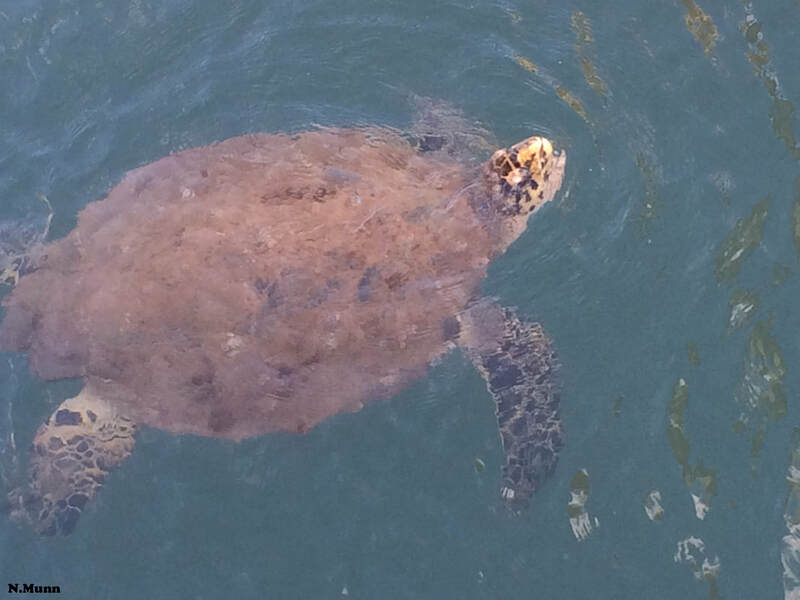 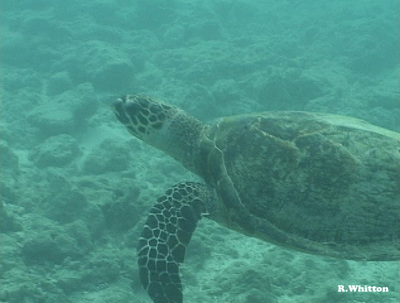 "Yoko" is a juvenile hawksbill that was sighted by Alexis Rudd in 2013. 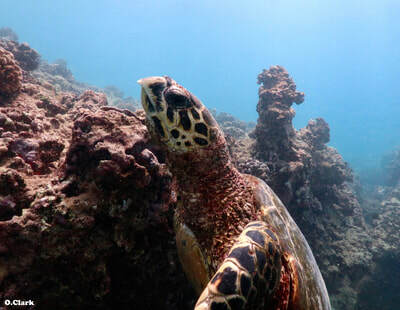 "Al" is a juvenile hawksbill that was photographed by Tyson Kanzaki (2017) and Kelly Quin (2018). 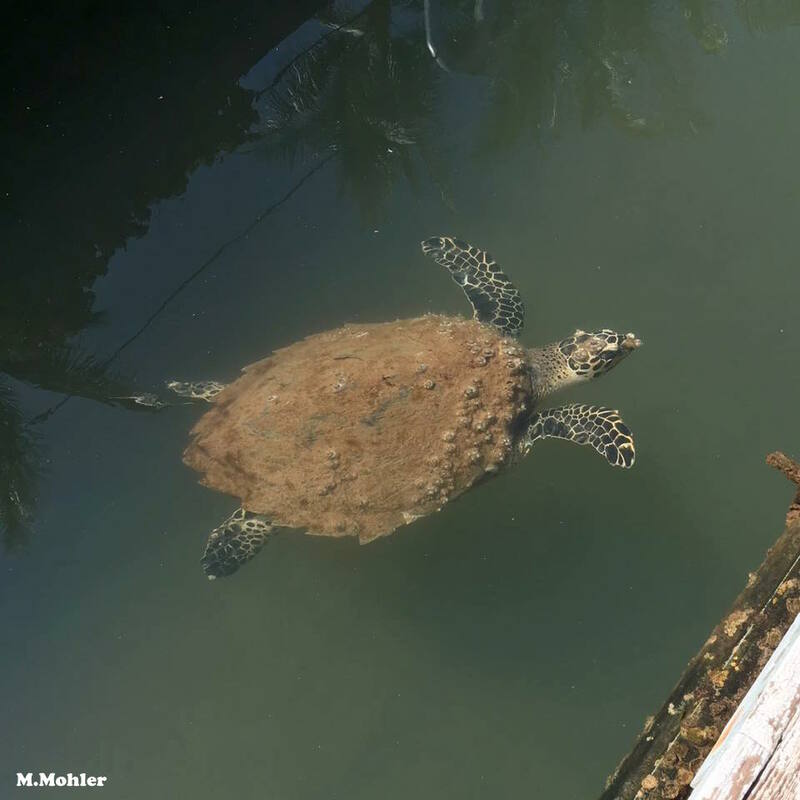 "Mark" is a juvenile hawksbill that was photographed by Mark Mohler in 2018 and Blade Shepherd-Jones in 2019. 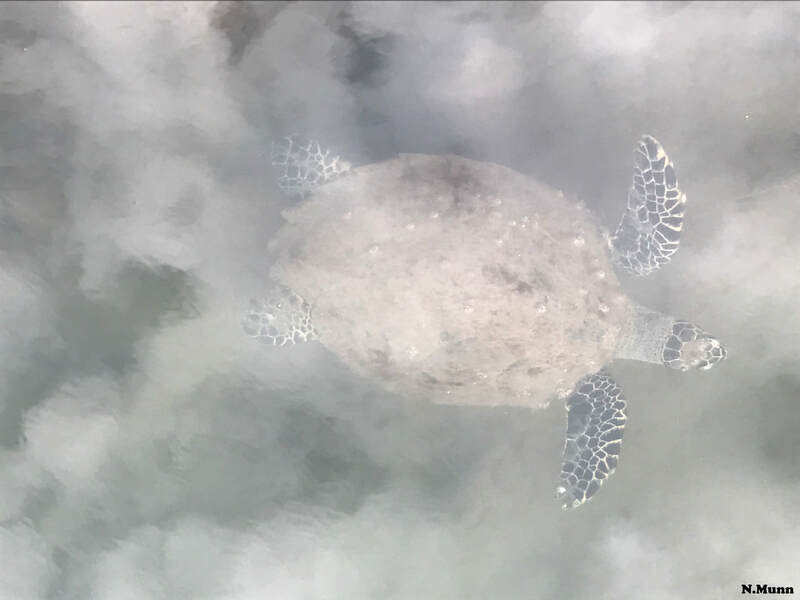 "Ayako" is a juvenile hawksbill that was photographed by Blade Shepherd-Jones, Stacy Swanke and Kimberly Jeffries in 2018. 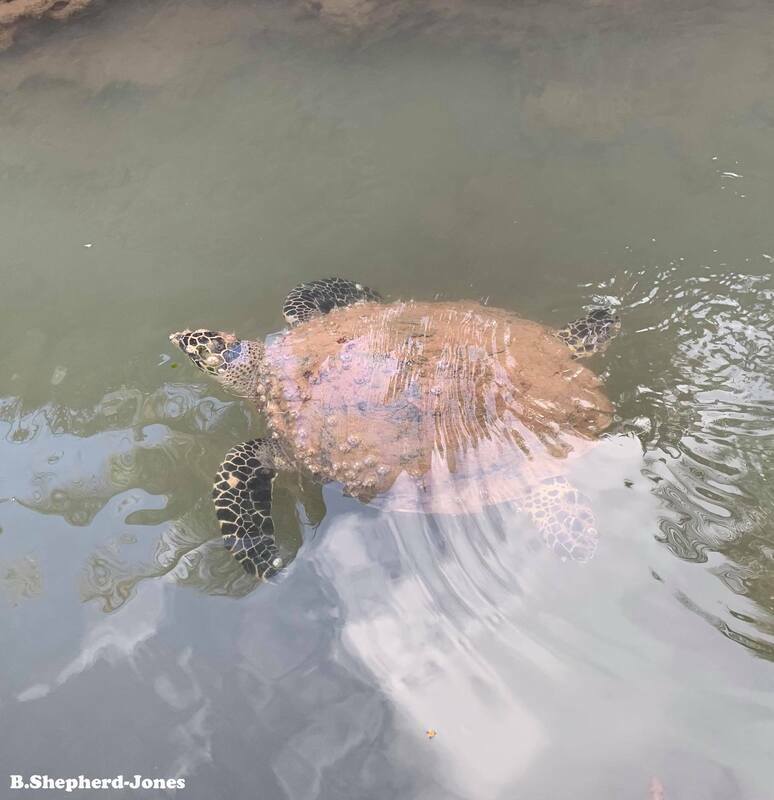 "PJ" is a juvenile hawksbill that was photographed by Kelly Quin in 2018. 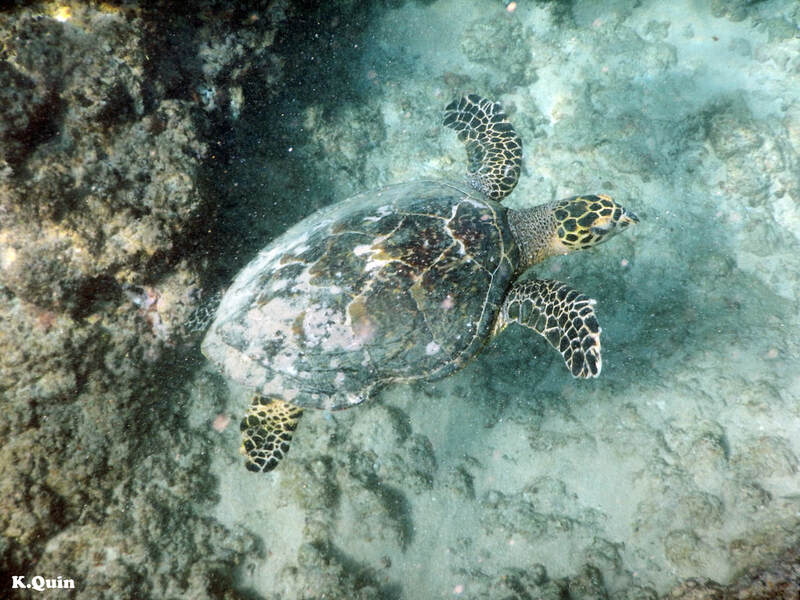 "Bodee" is a juvenile hawksbill that was photographed by Barbara Germann twice in 2018. 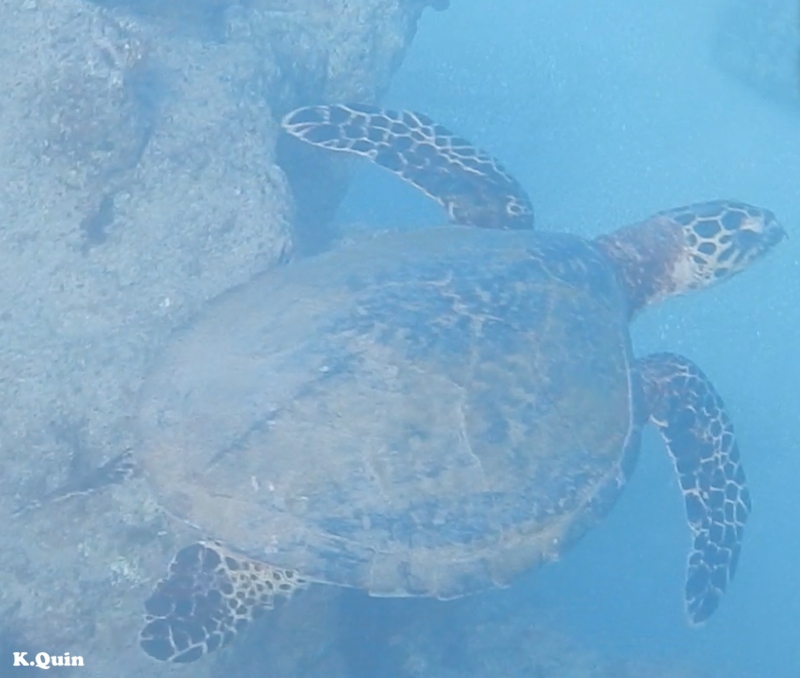 "Hau'oli" is a juvenile hawksbill that was photographed by Kelly Quin and Kathryn McDaniel in 2018. "Kini” is a juvenile hawksbill that was photographed by Kelly Quin in 2018 and 2019. 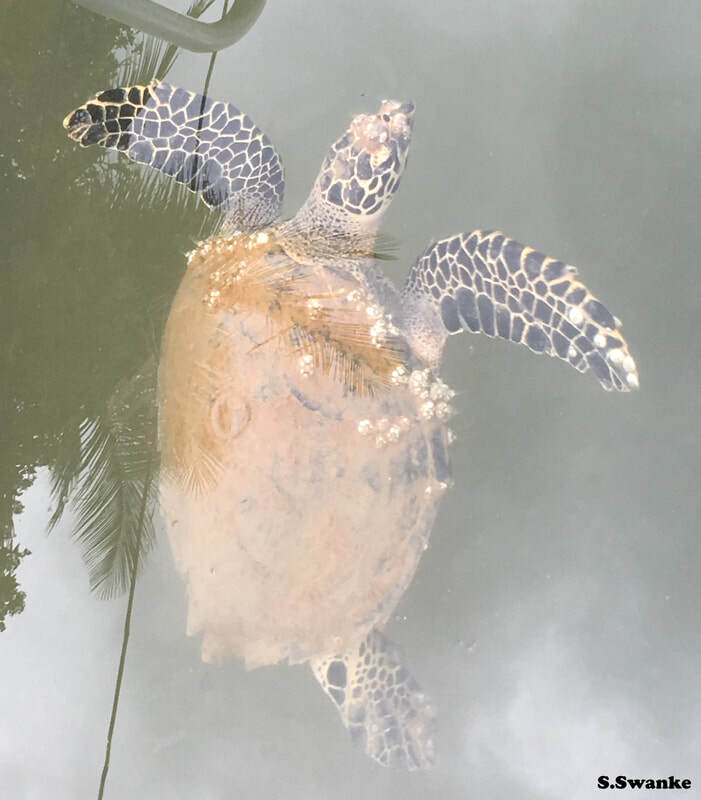 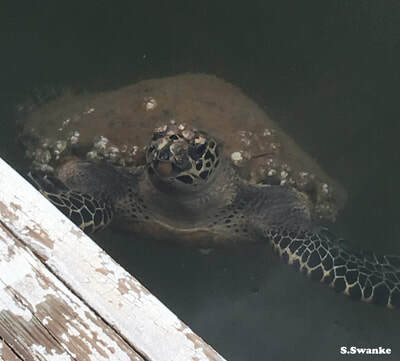 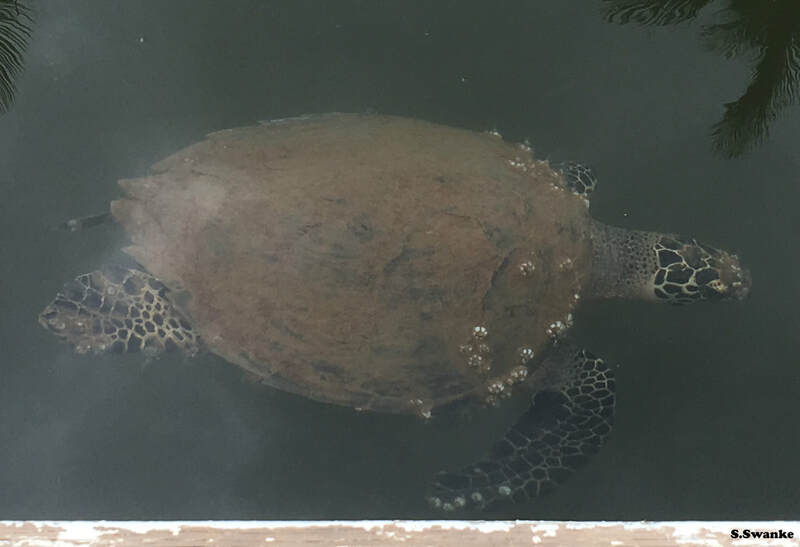 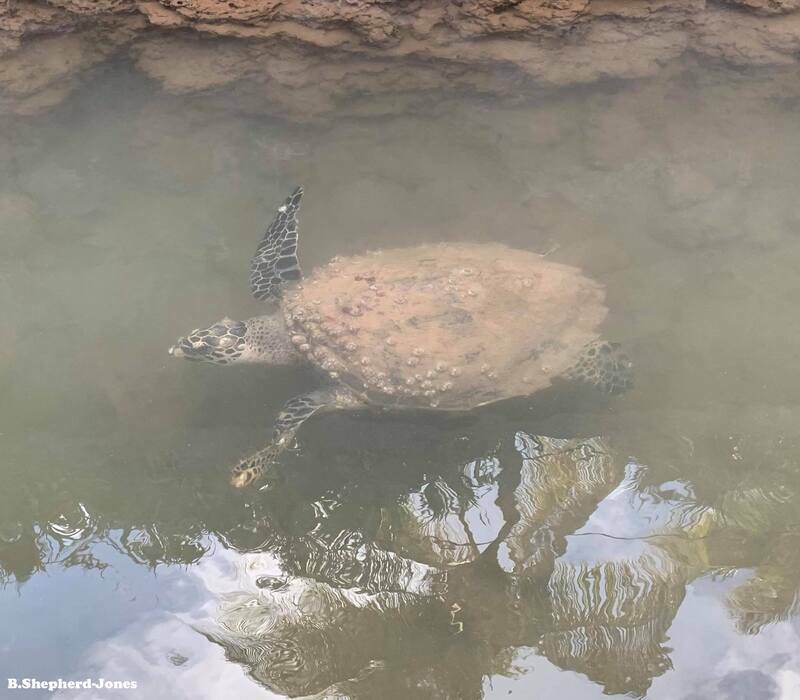 "'Iolana" is a juvenile hawksbill that was photographed by Kelliann Shimote in 2018. 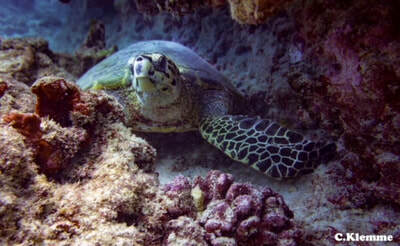 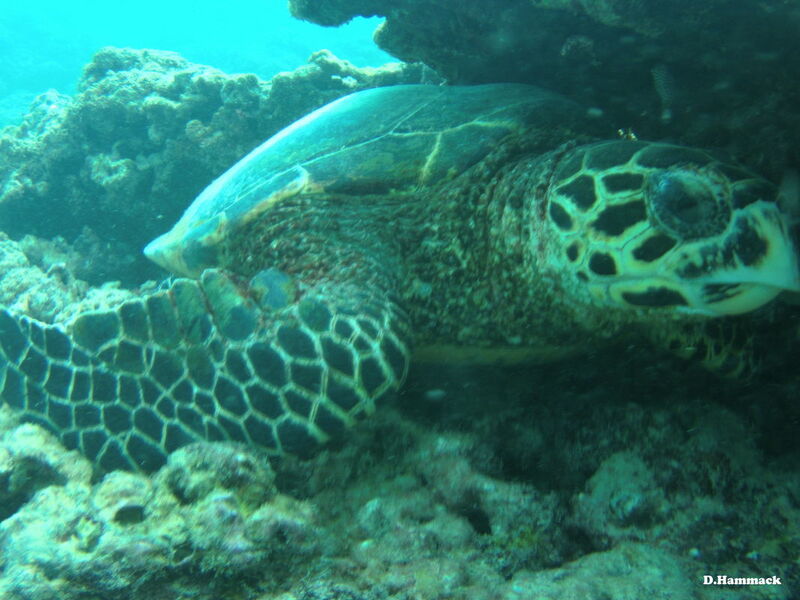 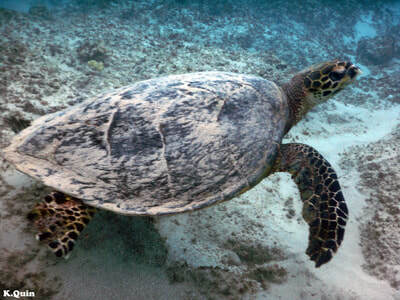 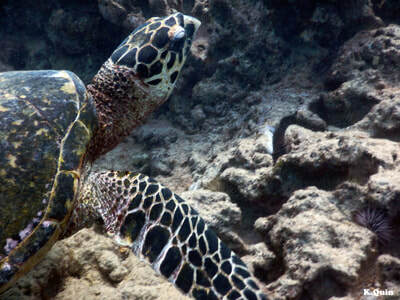 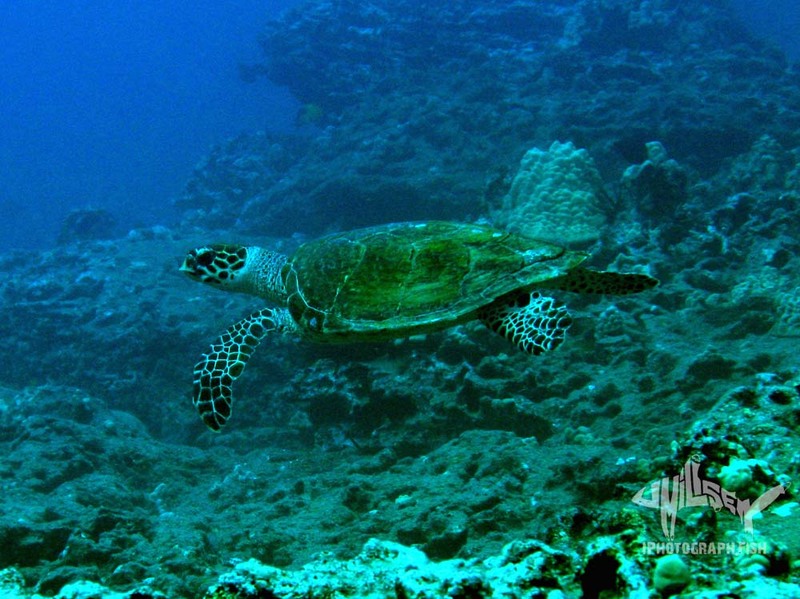 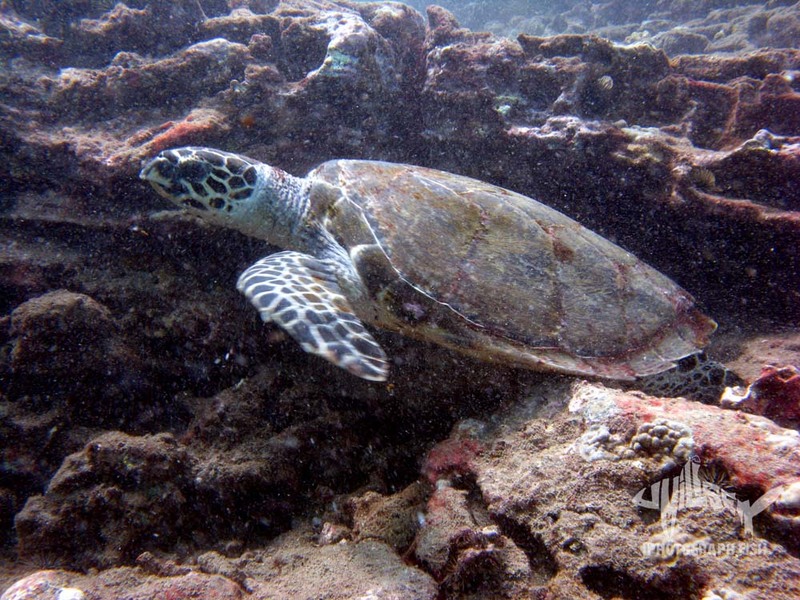 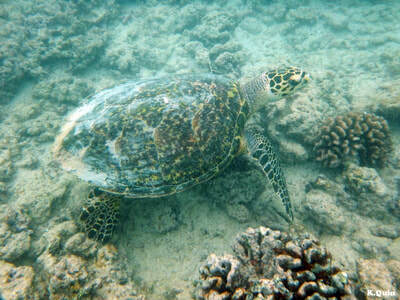 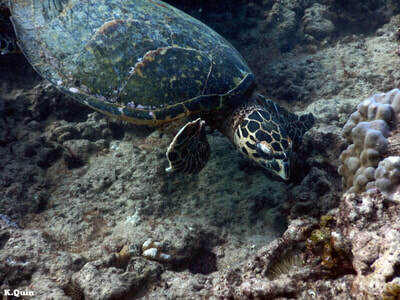 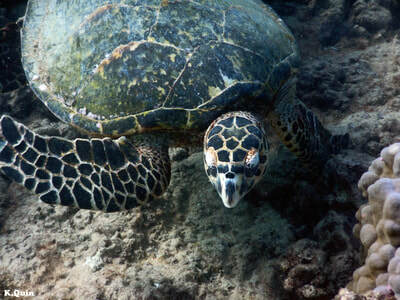 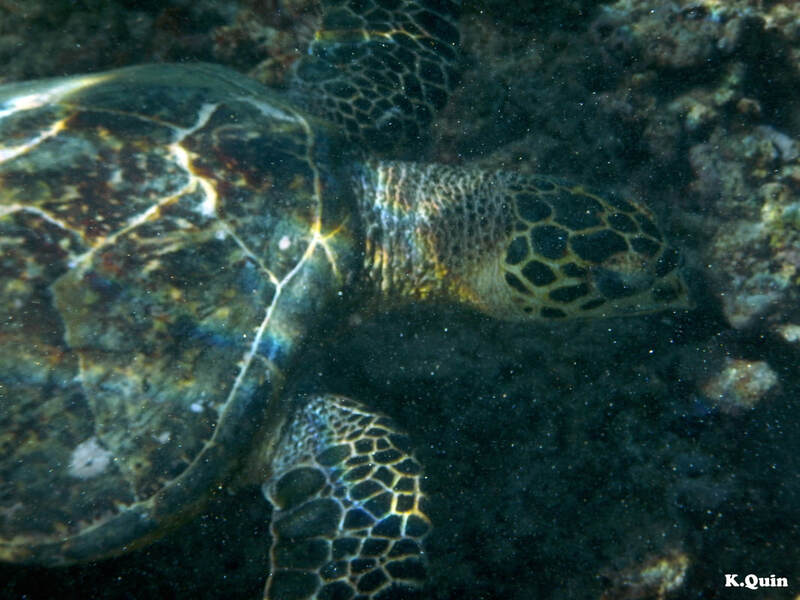 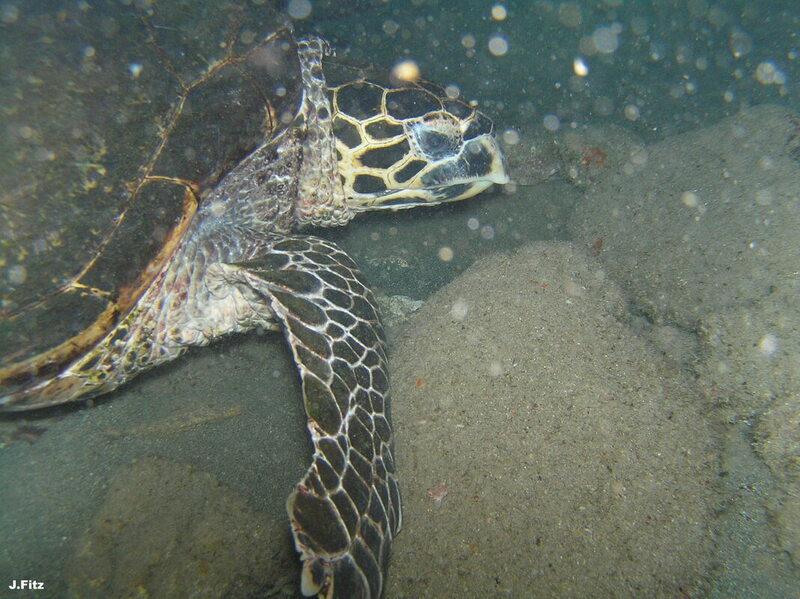 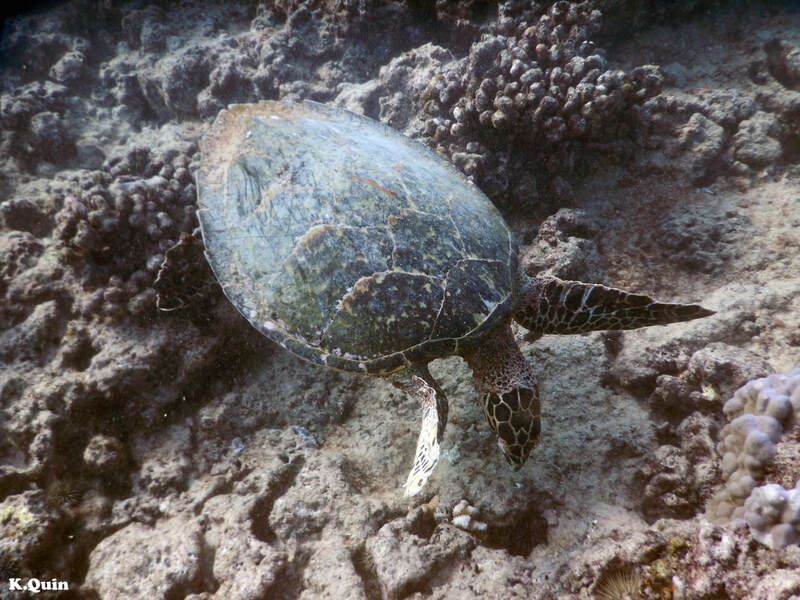 "Look Out" is a subadult hawksbill that was photographed by Scott Rettig in 2009. 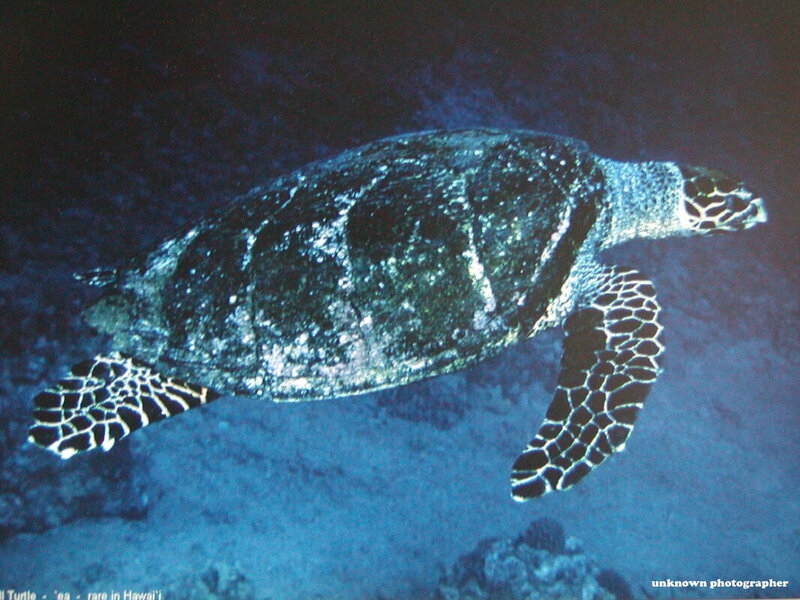 "Taimai" ("tsunami" in Japanese) is a subadult that was photographed by David Rolla and Marco Dickson in 2011 and 2012. 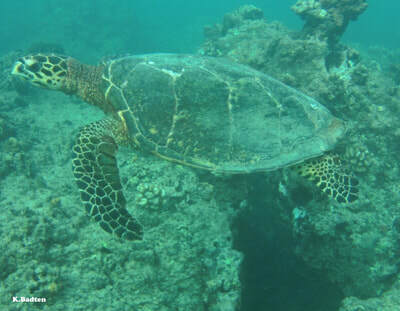 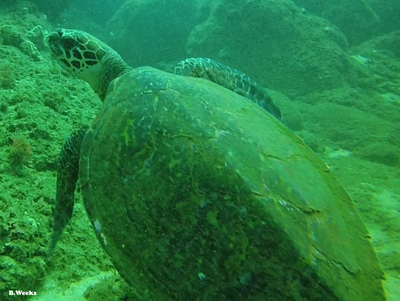 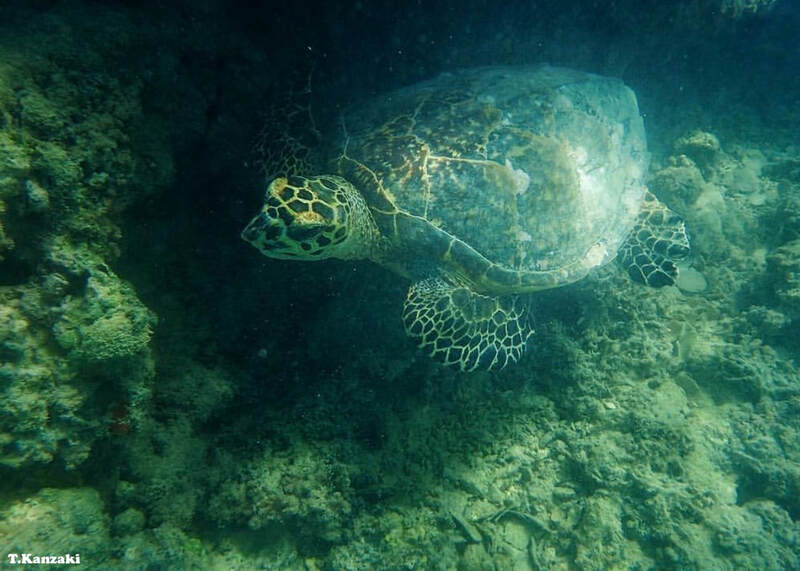 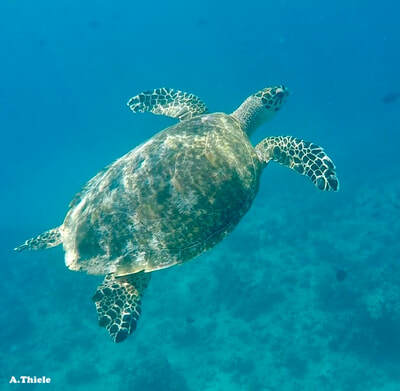 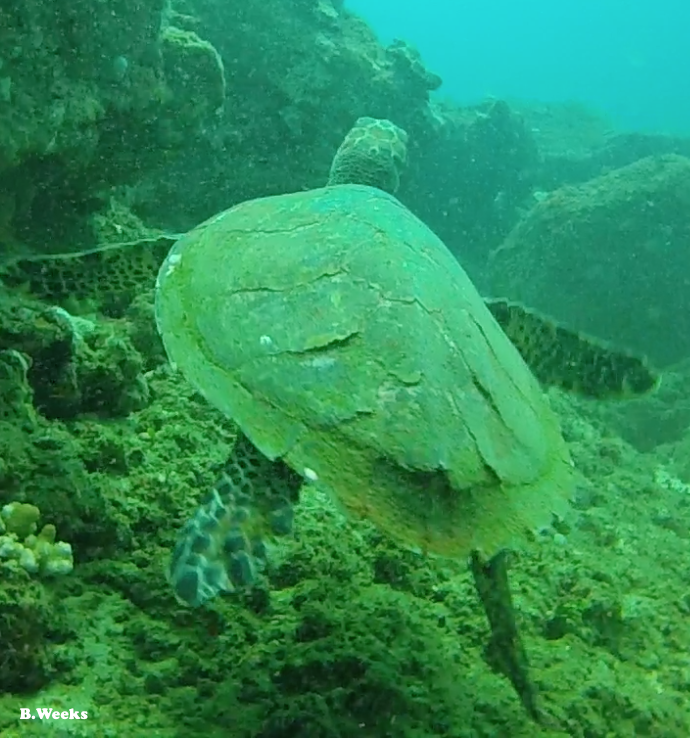 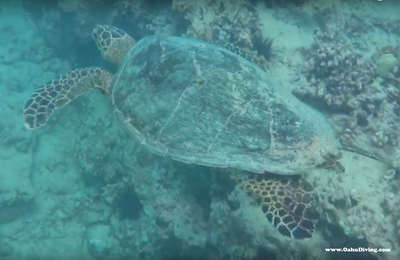 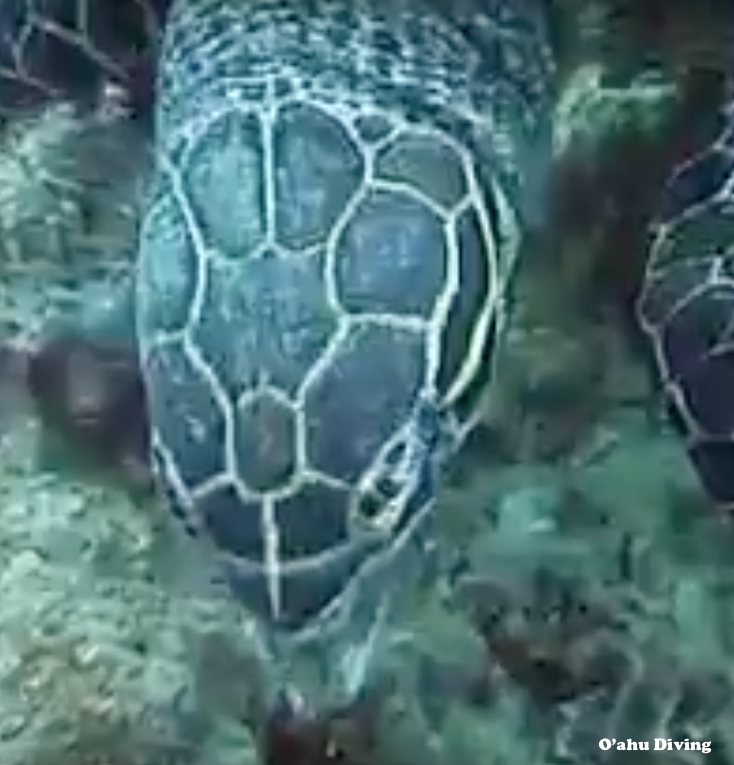 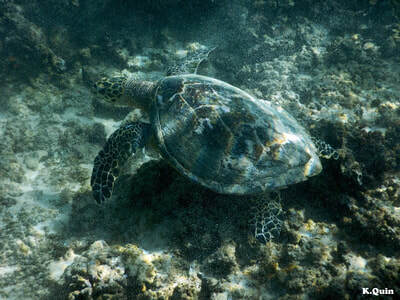 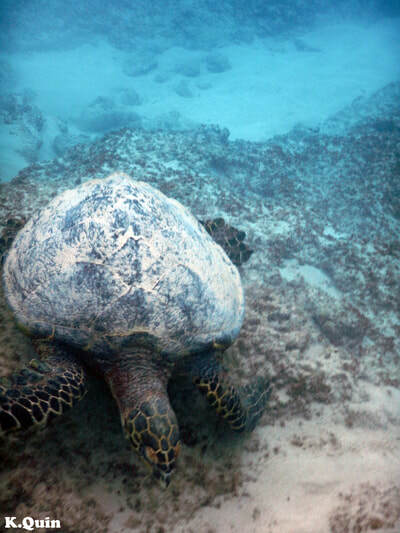 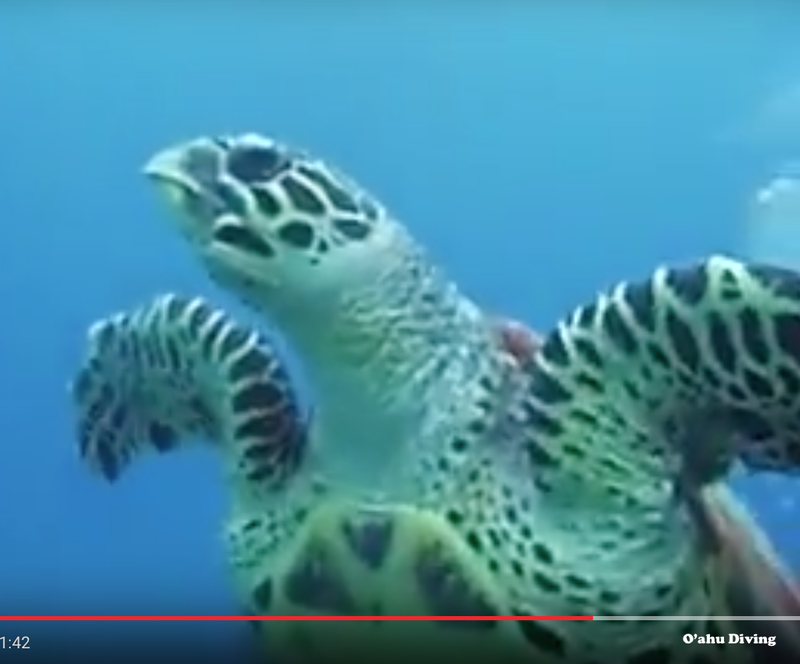 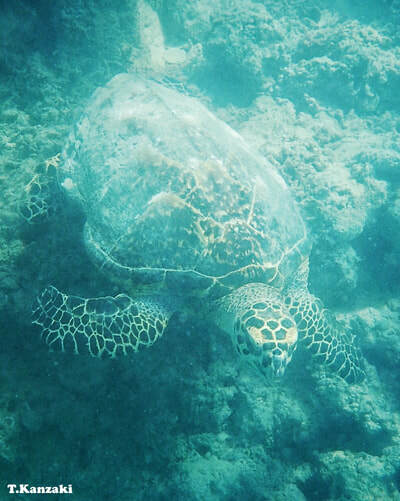 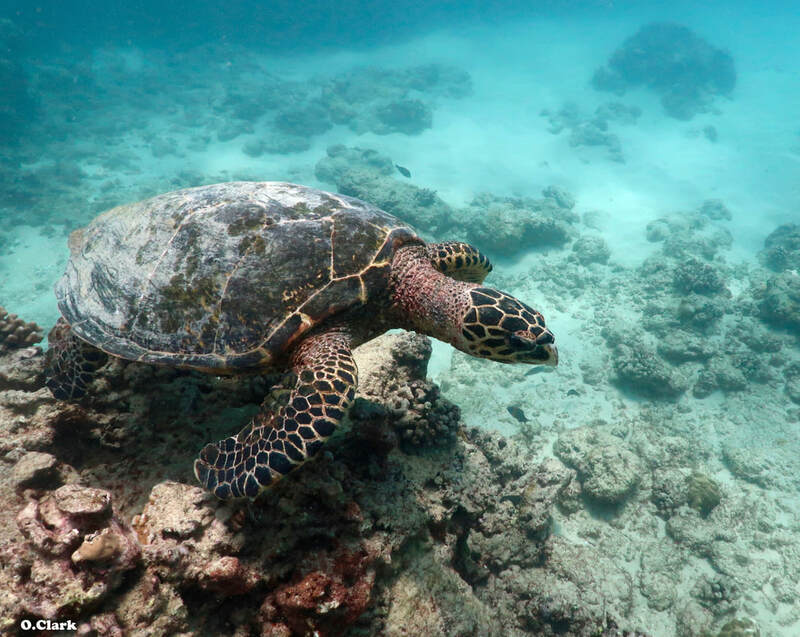 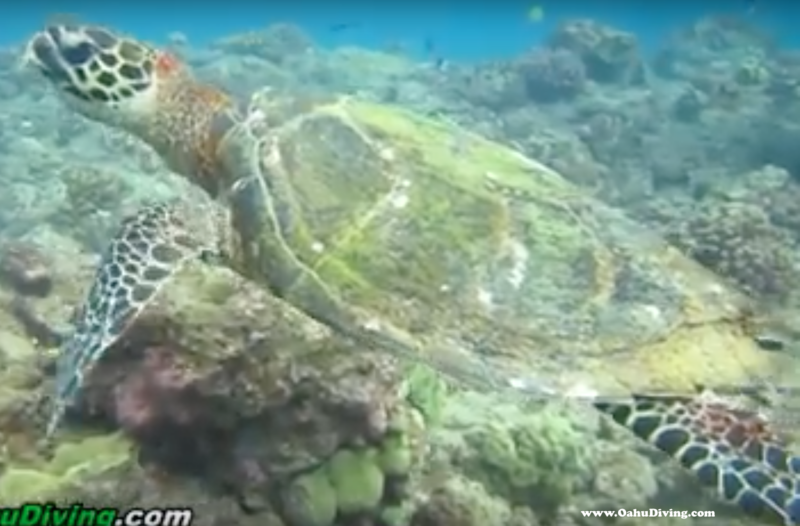 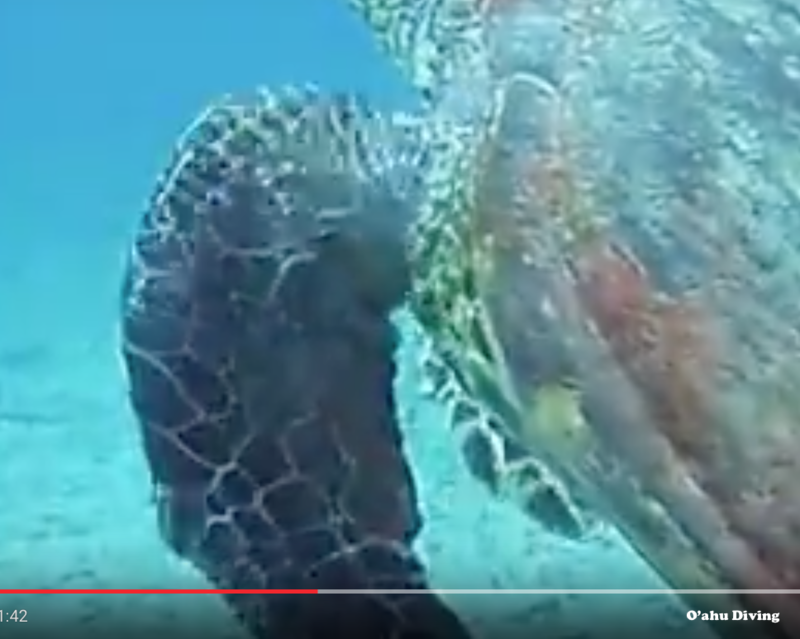 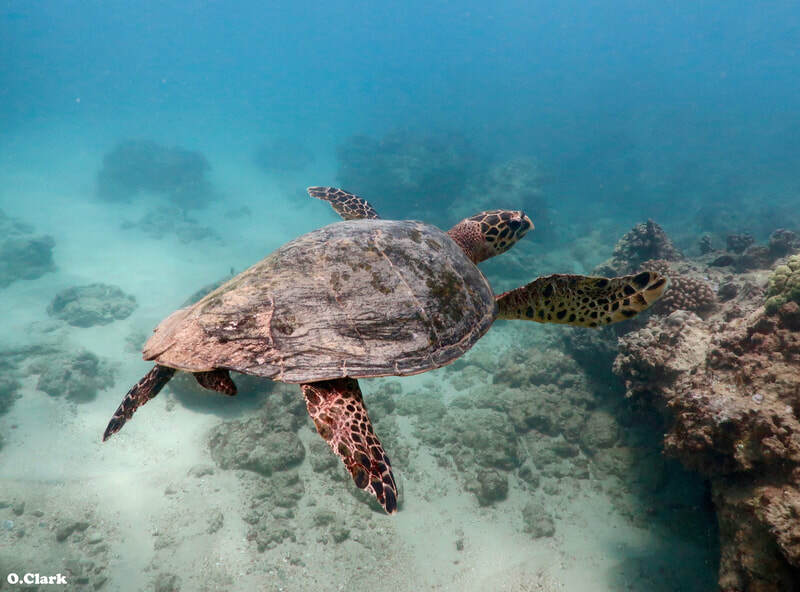 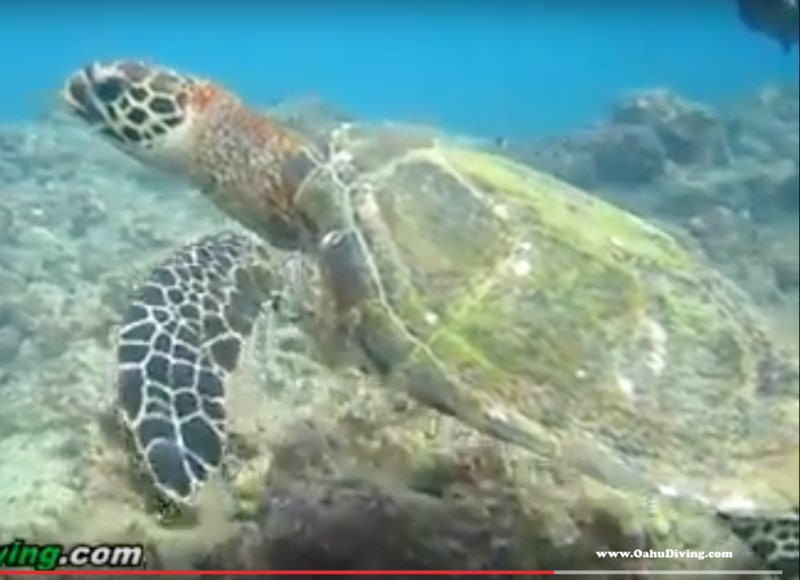 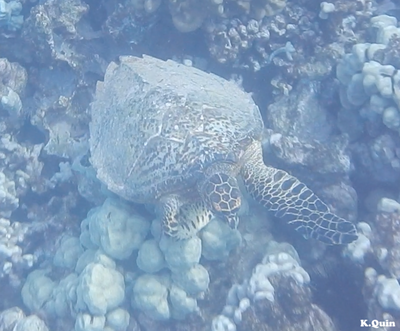 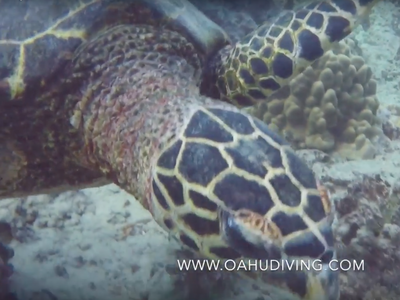 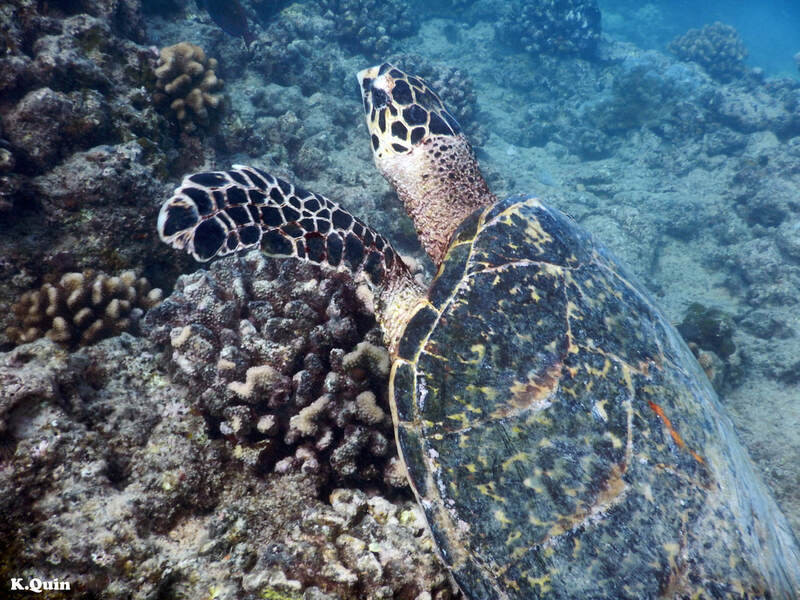 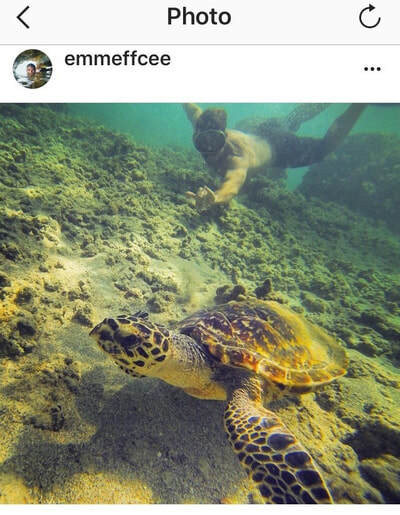 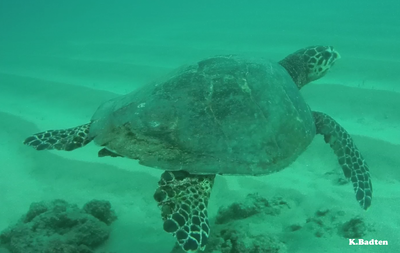 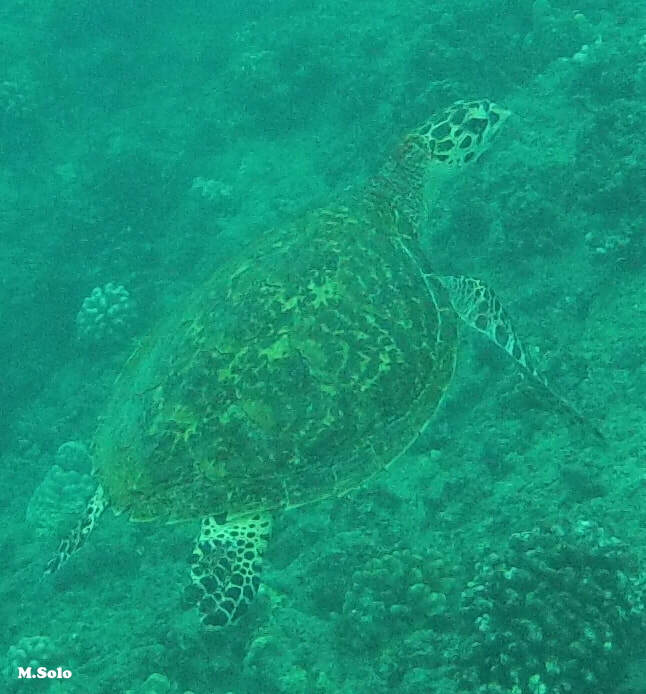 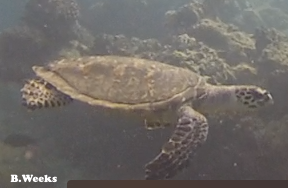 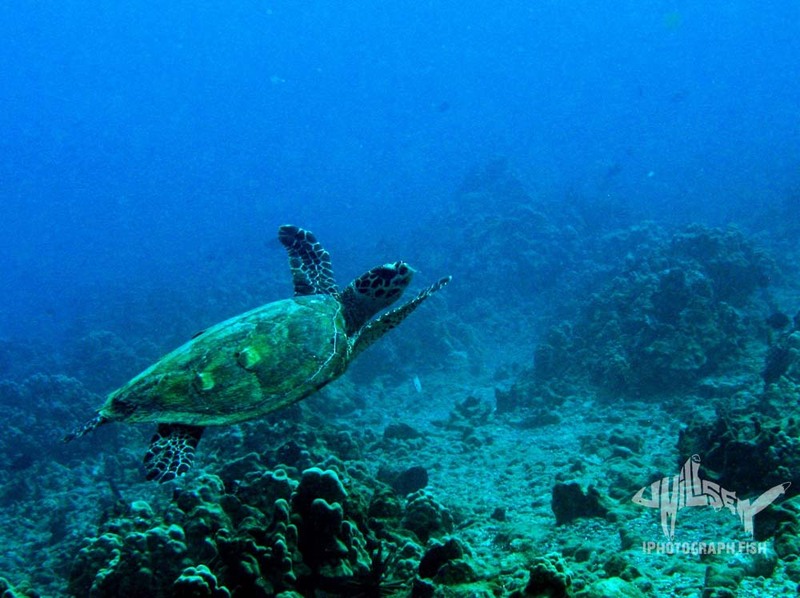 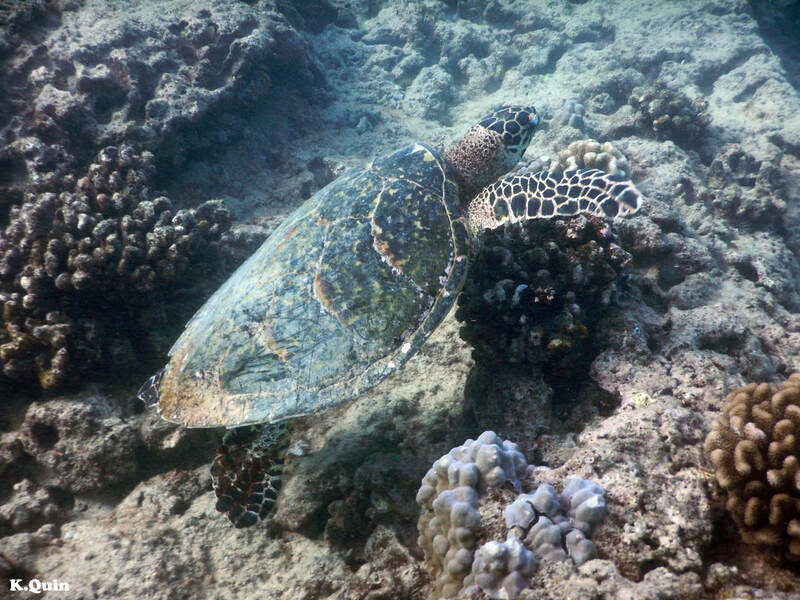 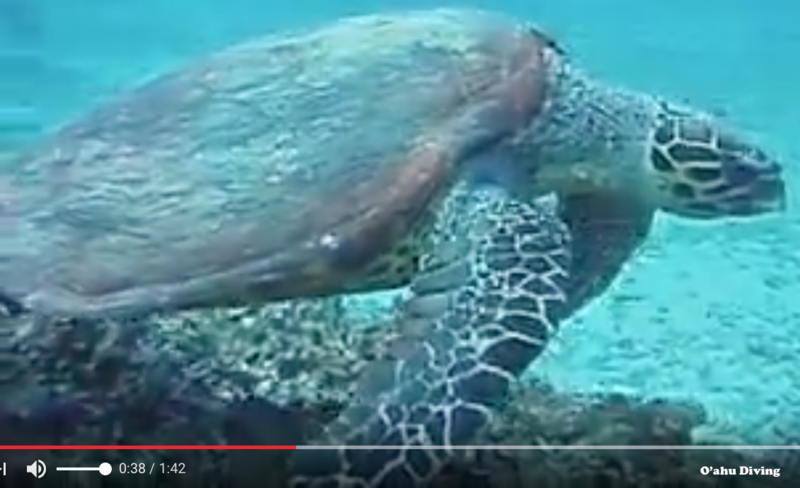 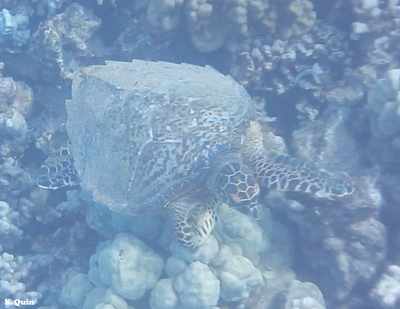 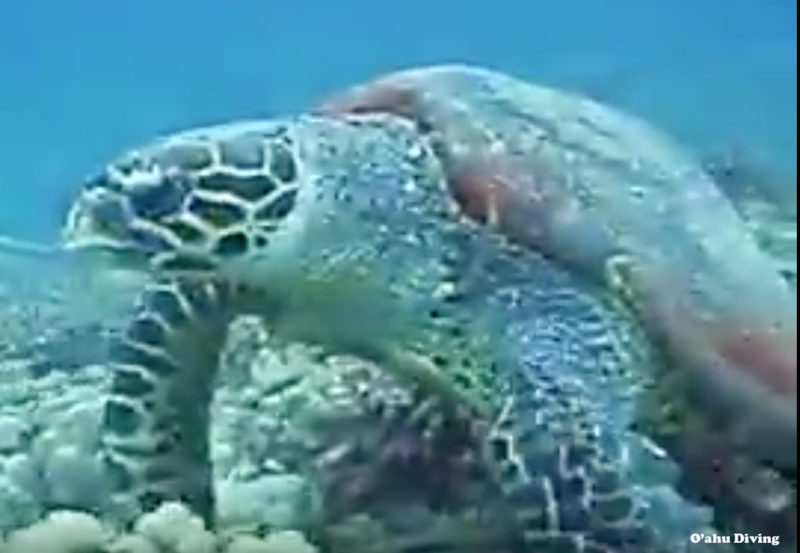 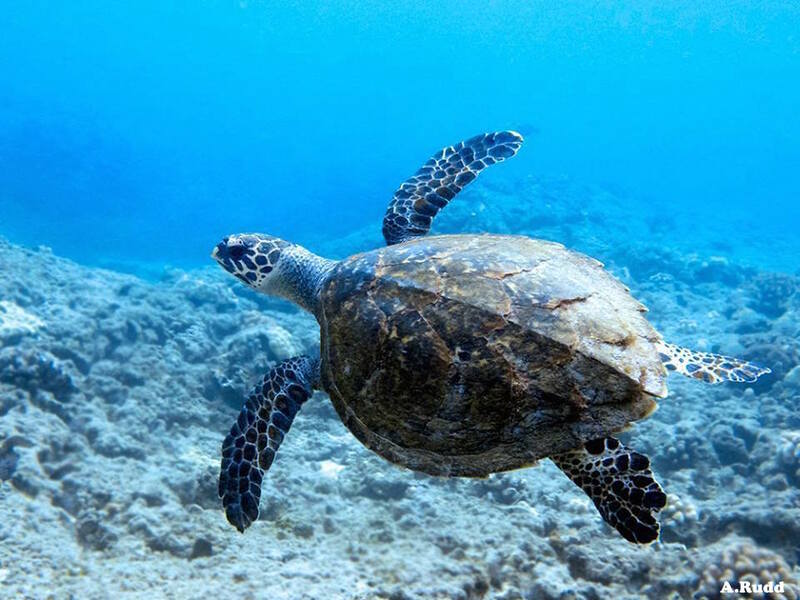 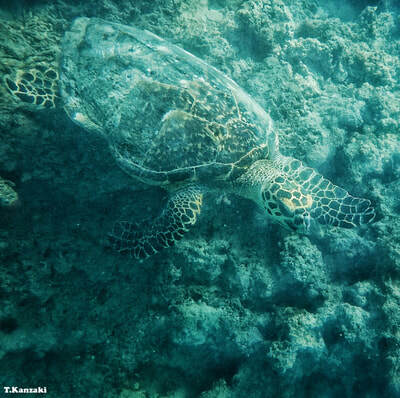 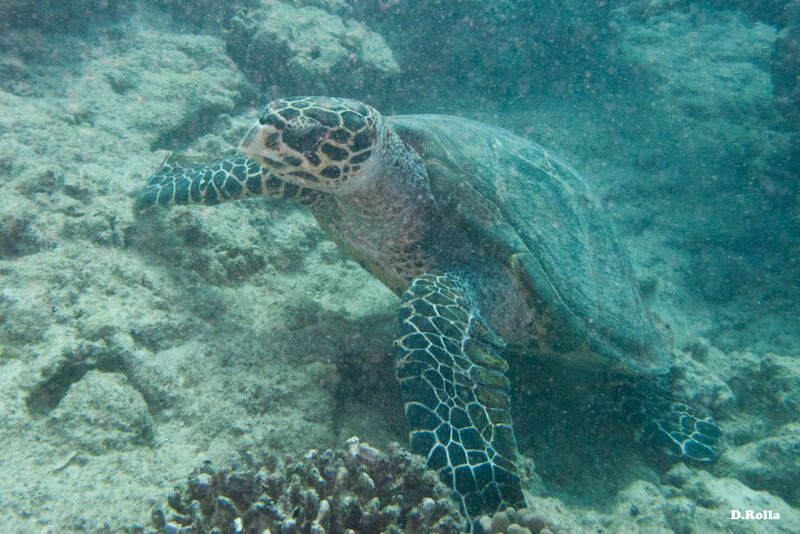 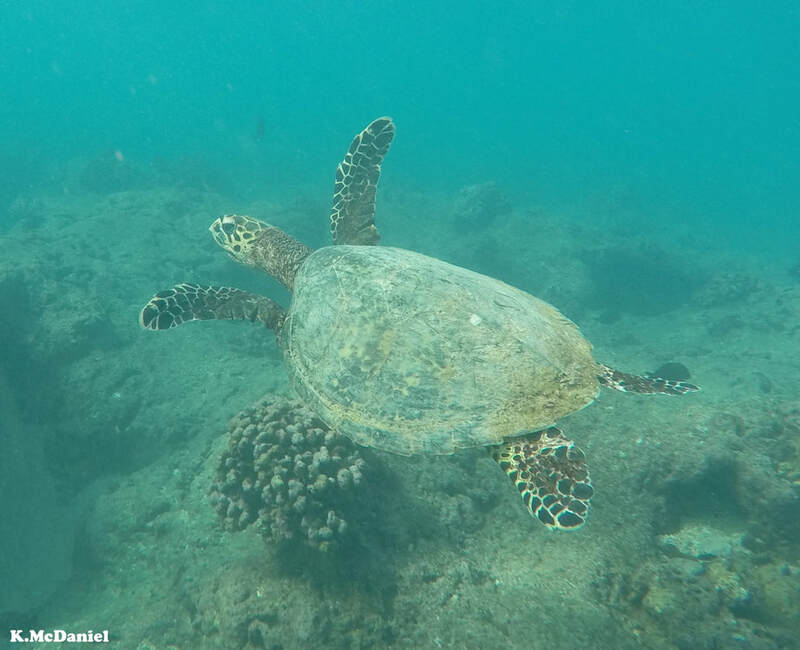 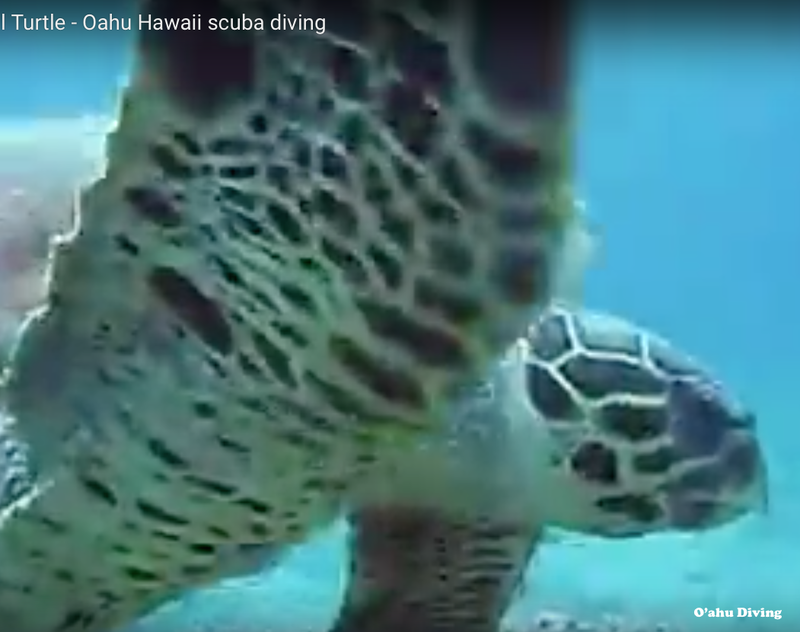 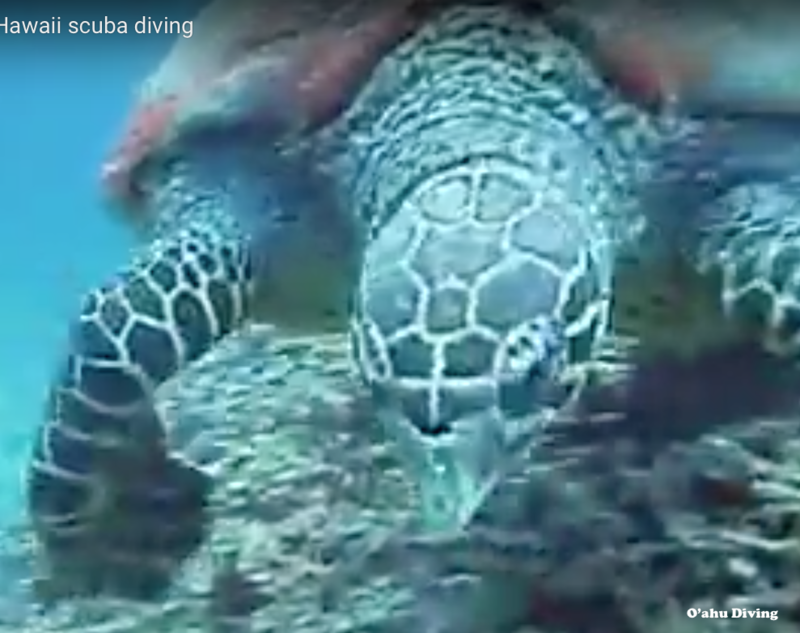 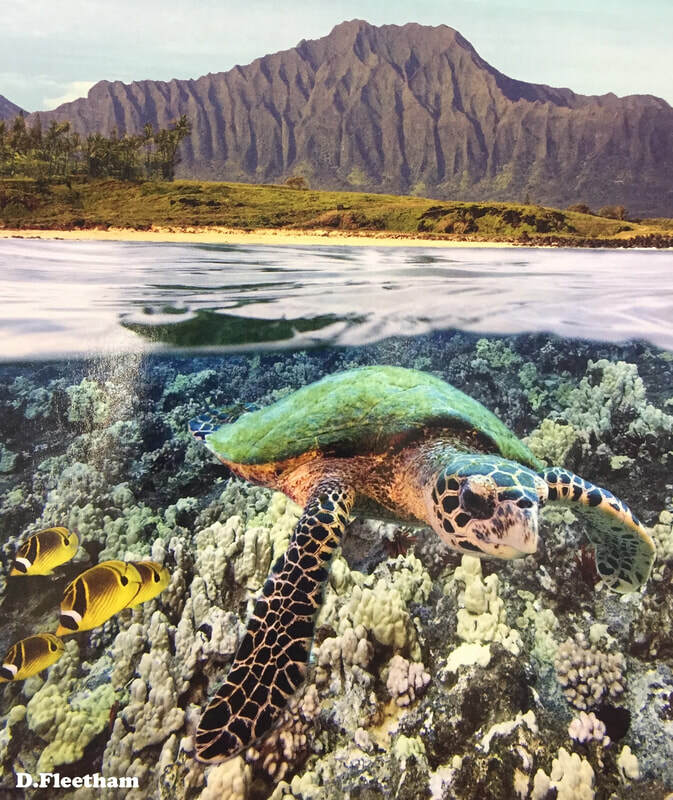 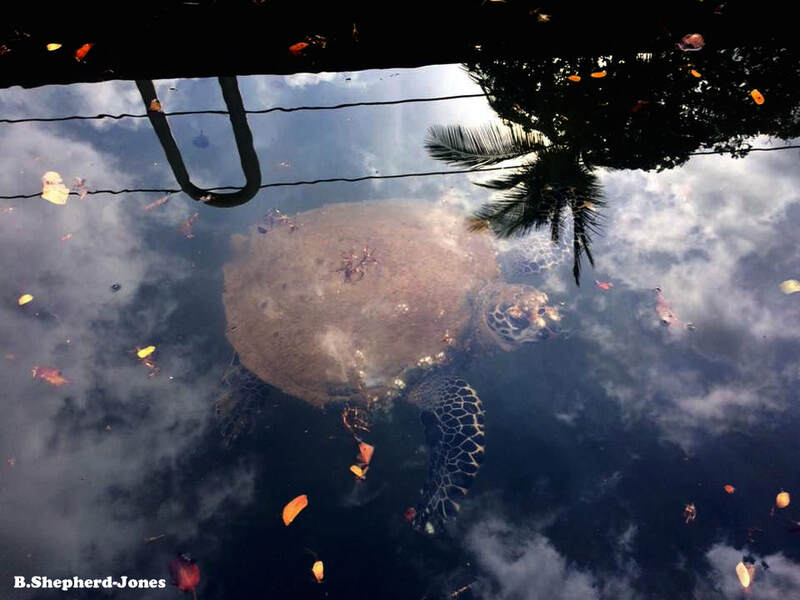 "Squirtle" is a subadult hawksbill that has been photographed by Kyler Badten, Dave Hammack and Aloha Kai Jewelry in 2014, photographed by Orvil Clark, Elizabeth Sides and "emeffcee" plus filmed by O'ahu Diving in 2016 and photographed by Kelly Quin in 2018. 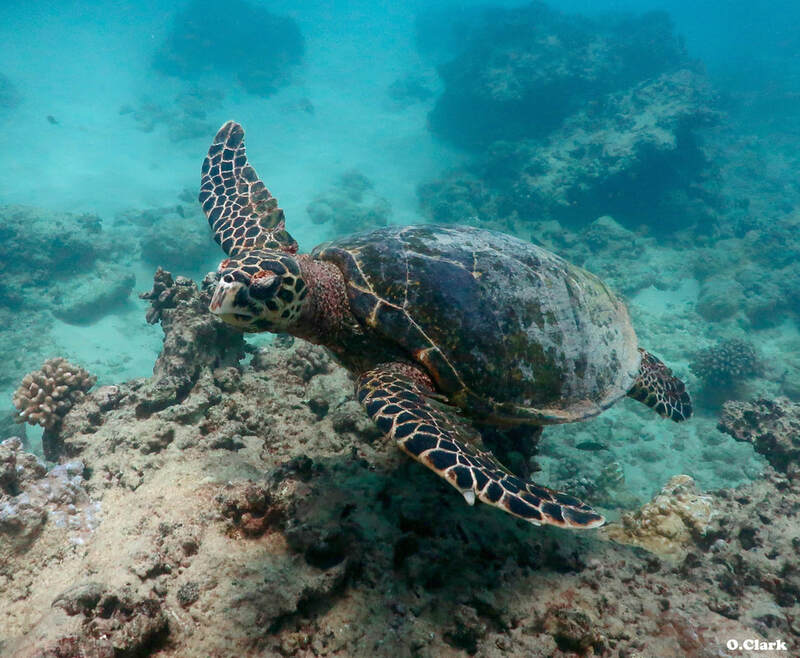 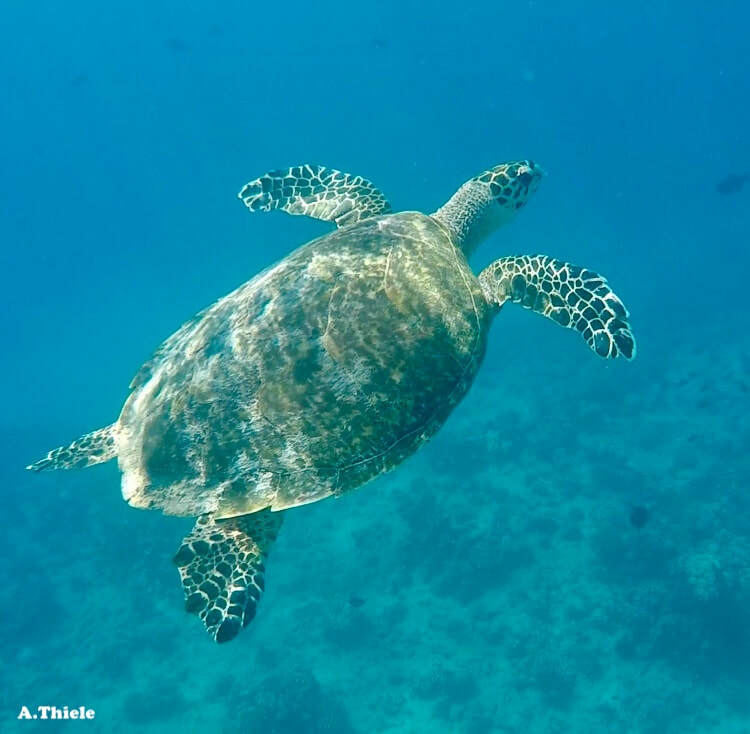 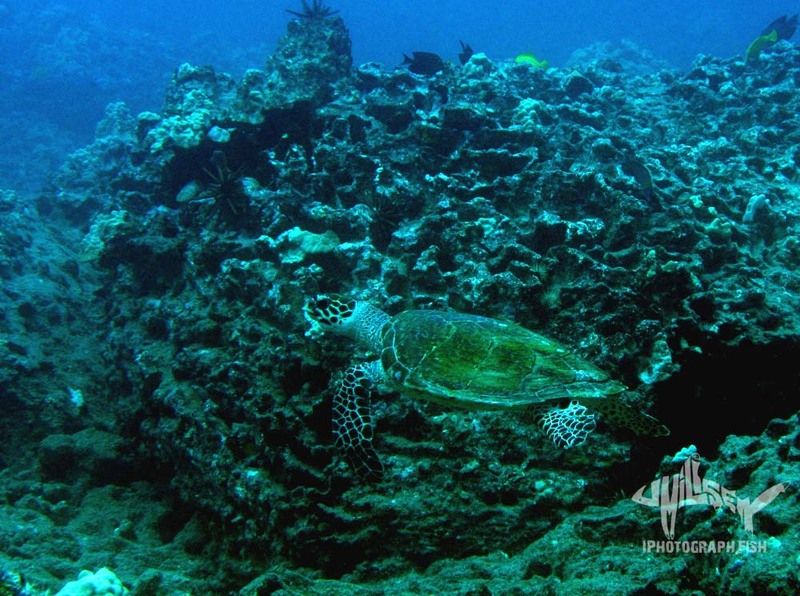 "Viridian" is now a subadult hawksbill that was photographed by Ryan Albright (2014), Josie Streiffert (2015), Kelly Quin (2015), Nicholas Barker (2017), and Pat Goding (2017). 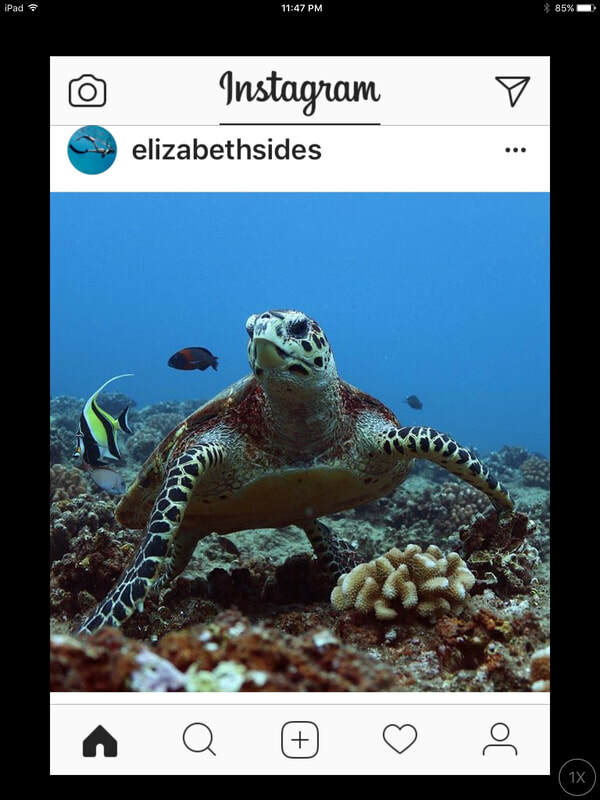 "Offsides" is a subadult hawksbill that was photographed by Elizabeth Sides in 2016. 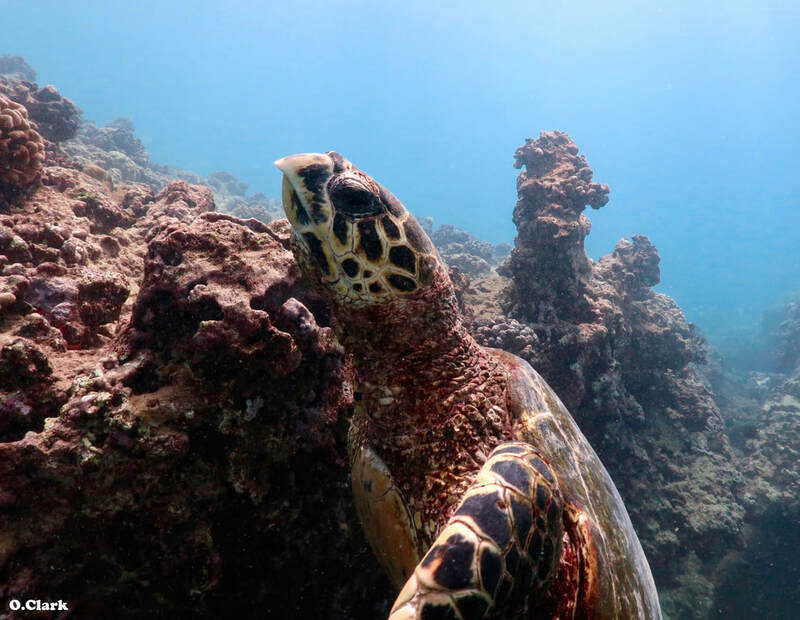 "Solo Sally" is a subadult hawksbill that was photographed by Matt Solo in 2016. 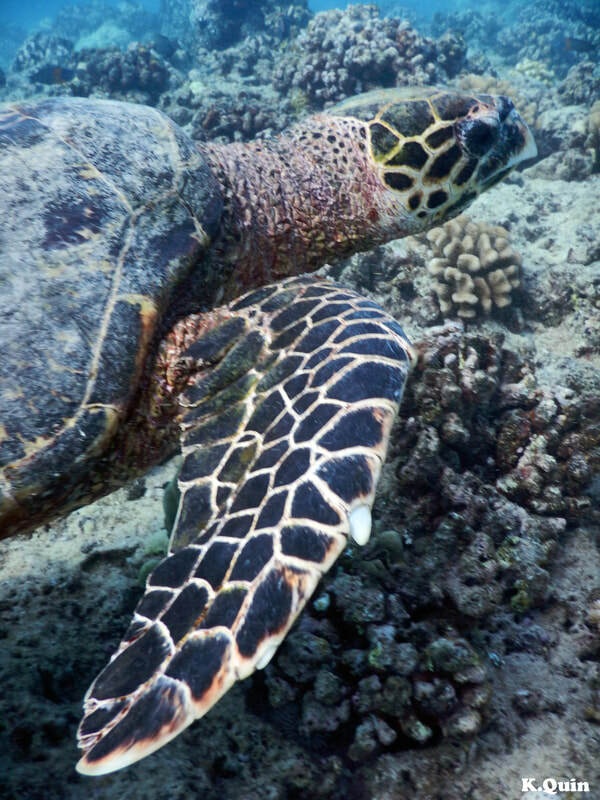 "Alexa" is a subadult hawksbill that was photographed by Nancy Munn (2017). 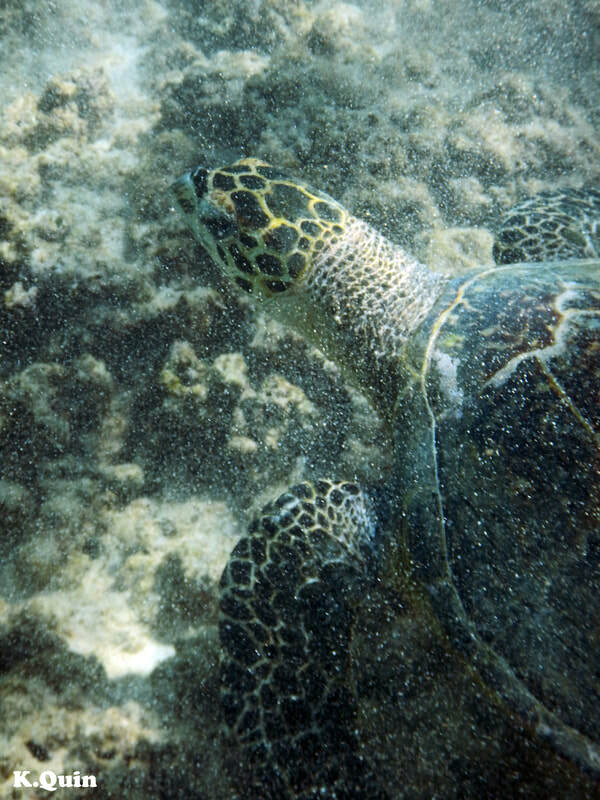 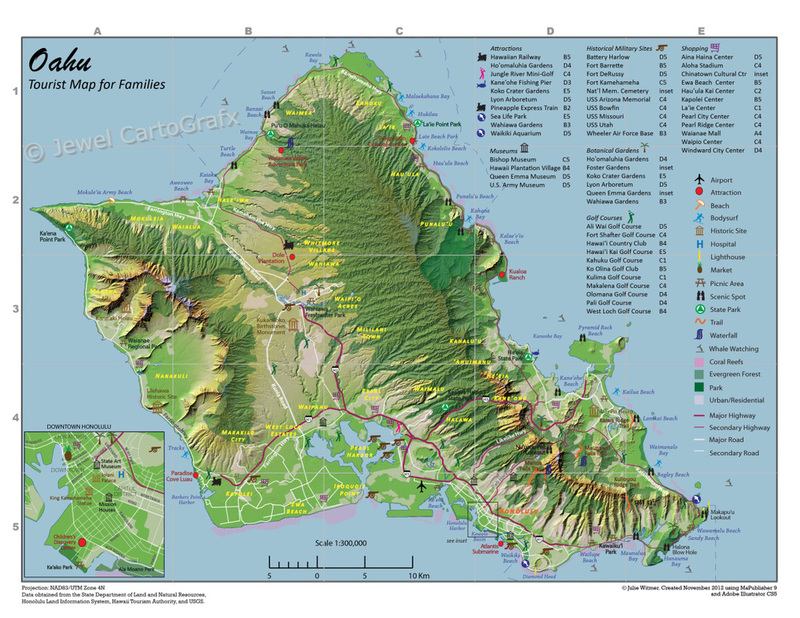 "Hanauma Wahine" was in a Hanauma Bay dvd I got in 2005, so the photographer is unknown. 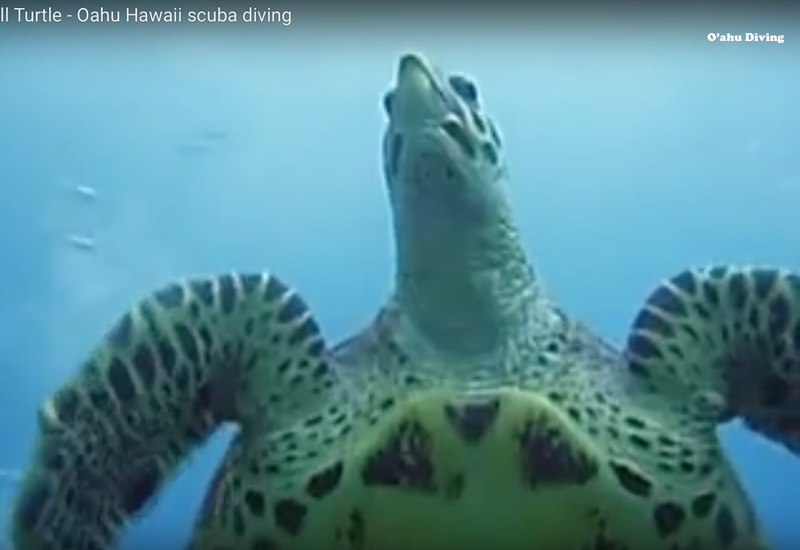 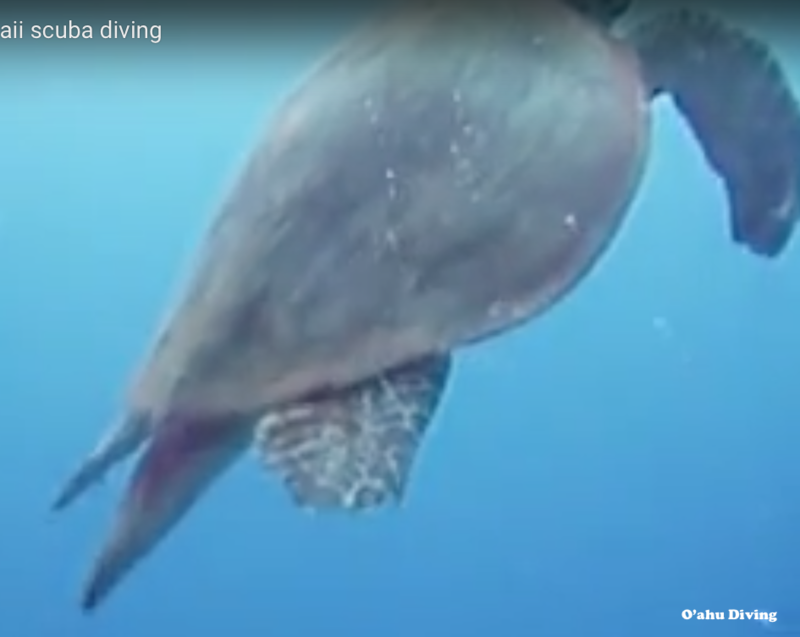 "O-Boy" is an adult male that was filmed by O'ahu Divers in 2008. "Fitz" was photographed by Jill Fitz in 2007. 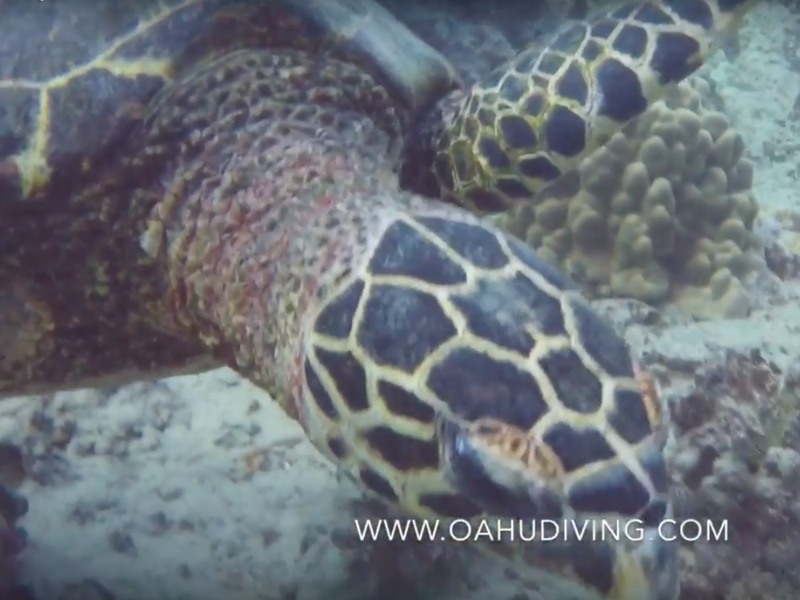 "Kekoa" ("warrior" in Hawaiian) is featured on www.OahuDiving.com, so I'm awaiting more information about it. 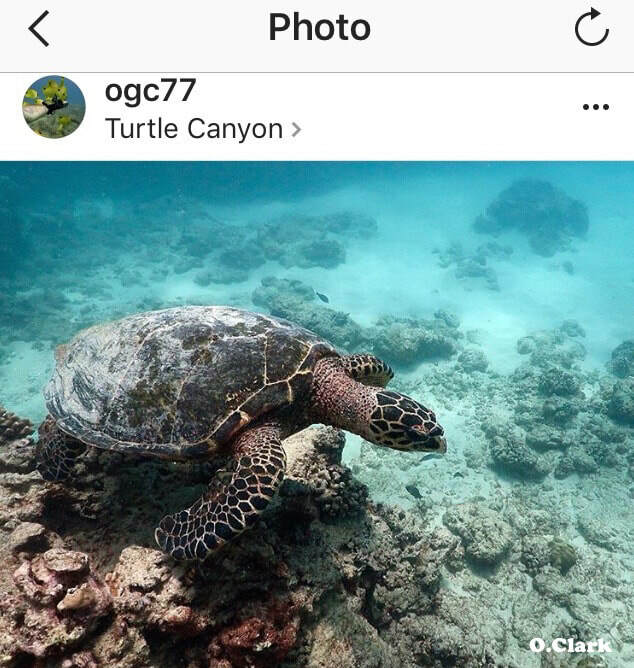 "LC" was found by a beachgoer in 2017 who posted these photos on Facebook. 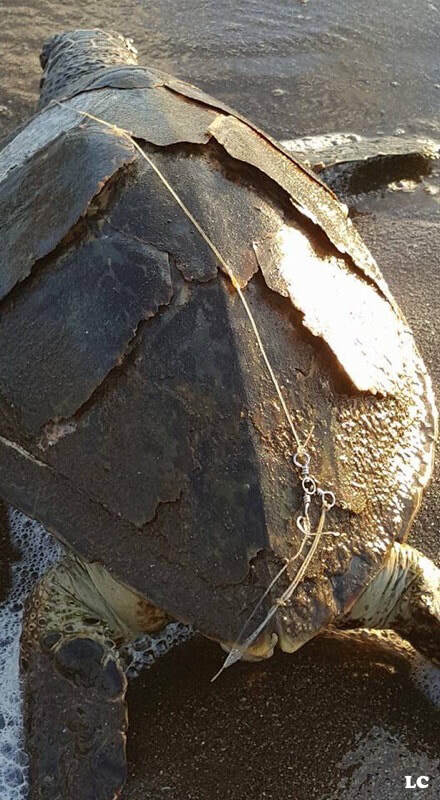 NOAA's Irene Kelly was tagged in the post, but the carcass apparently got swept offshore by the waves so we don't have any other information about it. 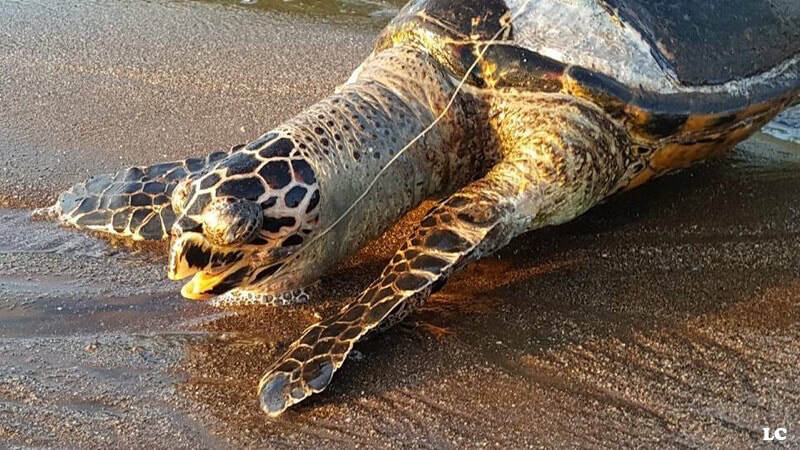 ​**In instances like this, it's okay to bring the turtle farther onshore and call the Sea Turtle Stranding Network! 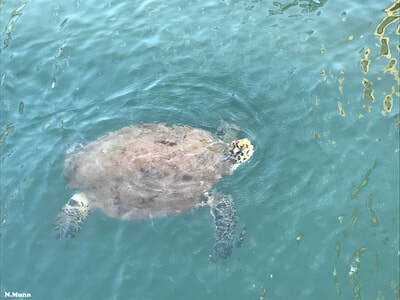 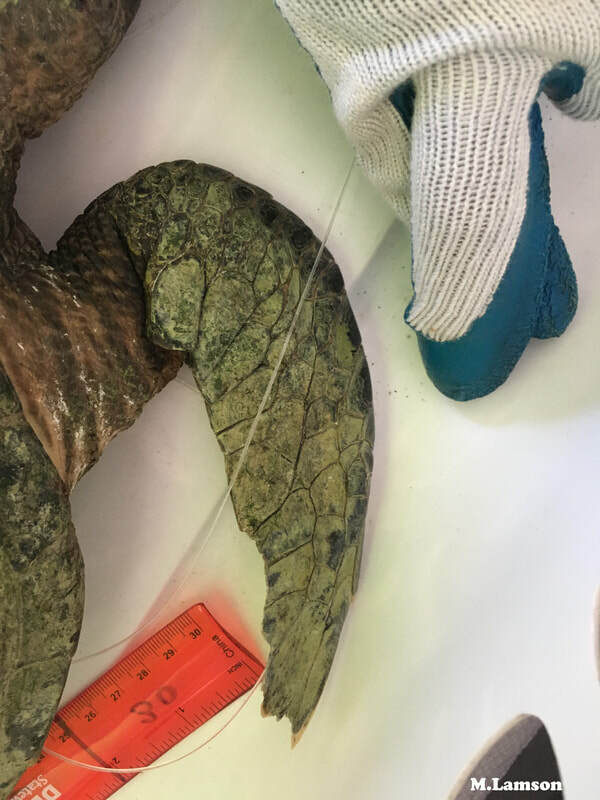 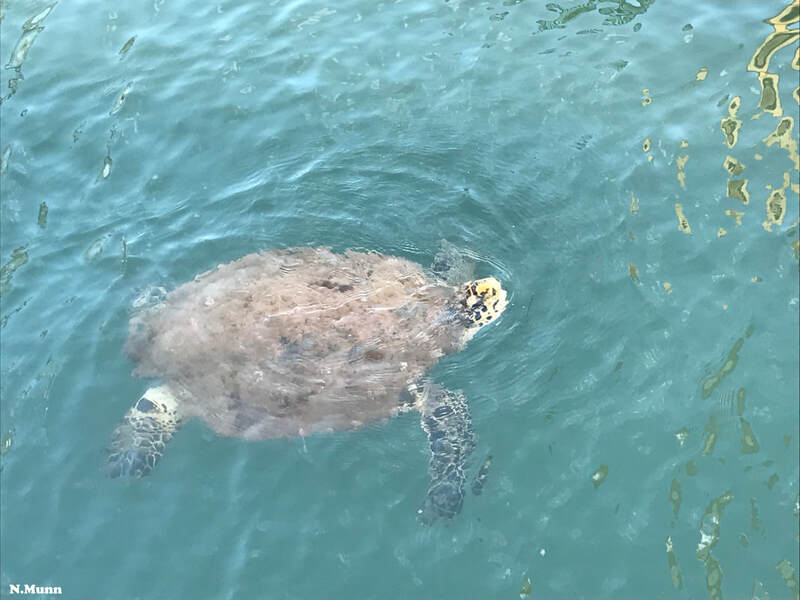 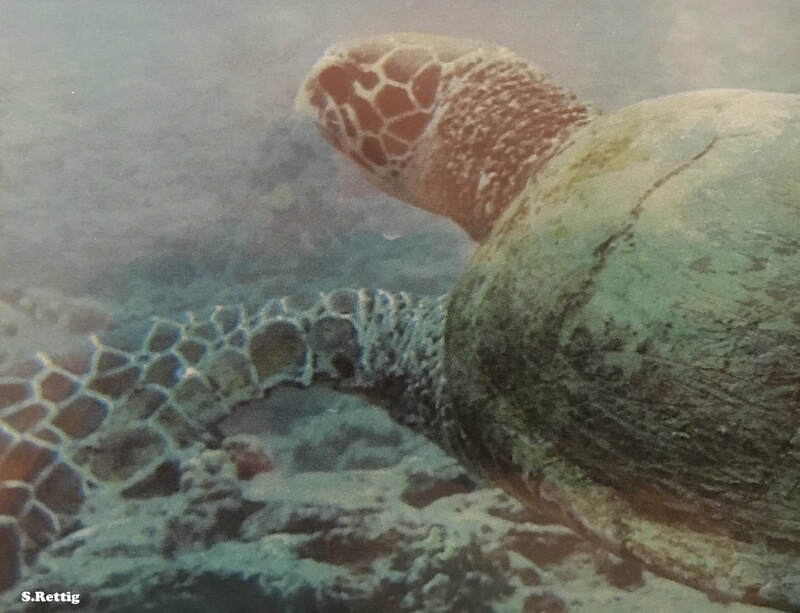 "Zory" is an adult hawksbill (~74cm CCL) that was photographed by Nancy Munn (2017), but was found dead in 2018. NOAA did not find any cause of death, but determined the gender as being female.